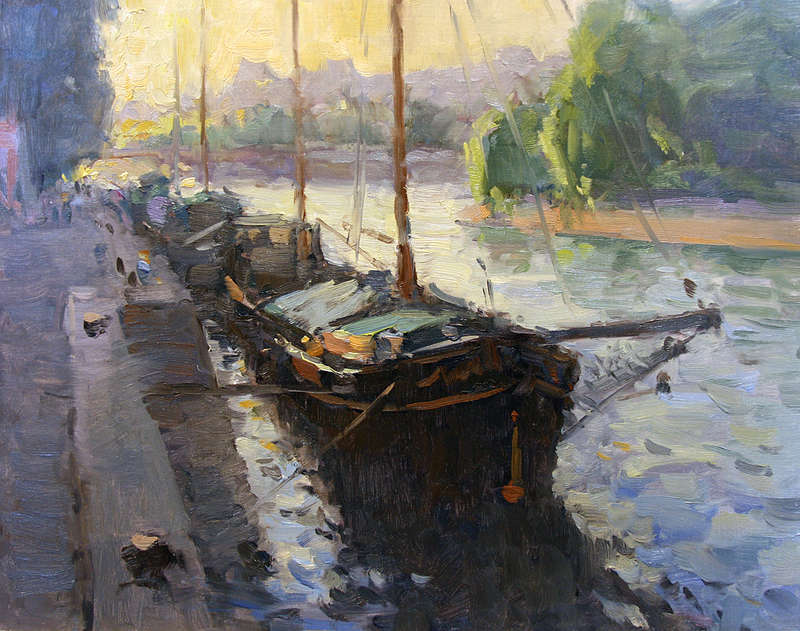 American painter Richard Oversmith received formal training in Fine Art and Illustration at Kendall College of Art and Design in Grand Rapids, Michigan. 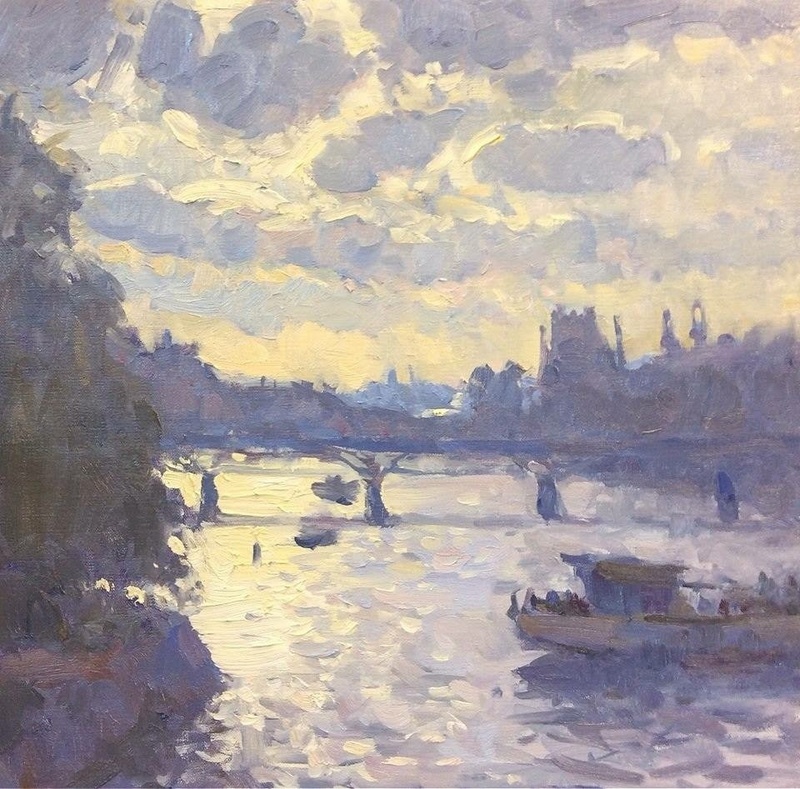 While at Kendall he was invited to study at the Royal College of Art in London, England. 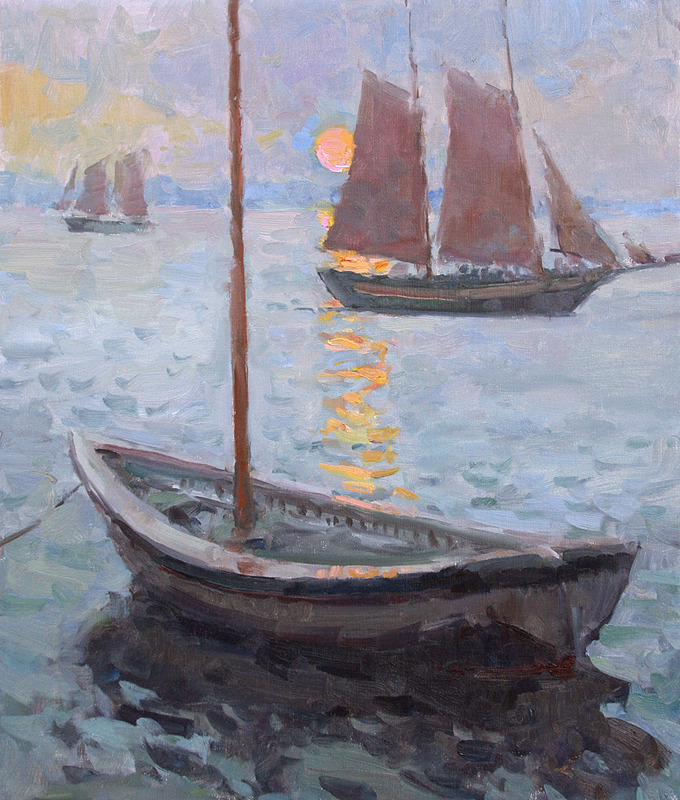 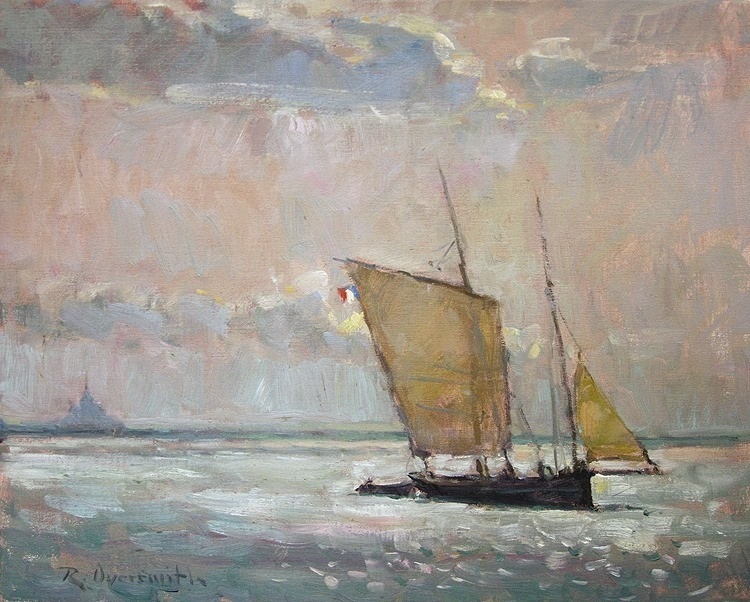 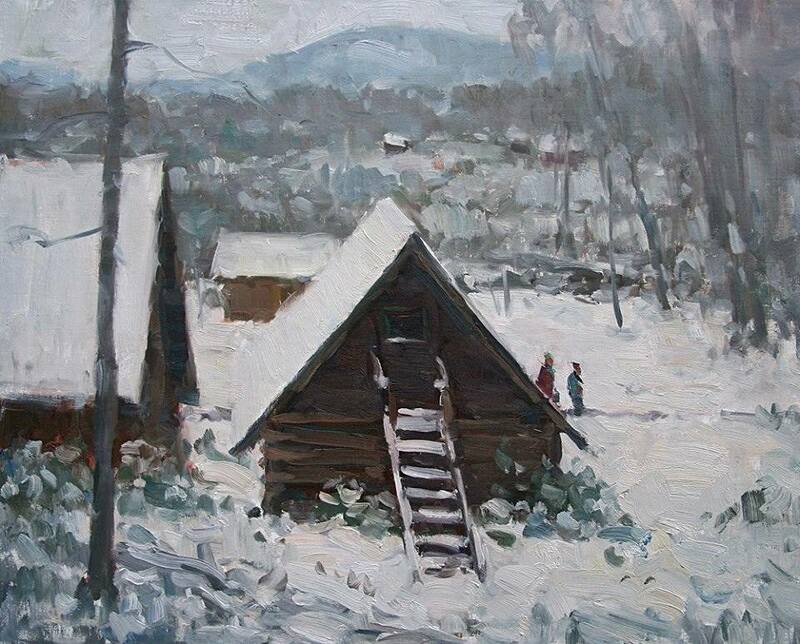 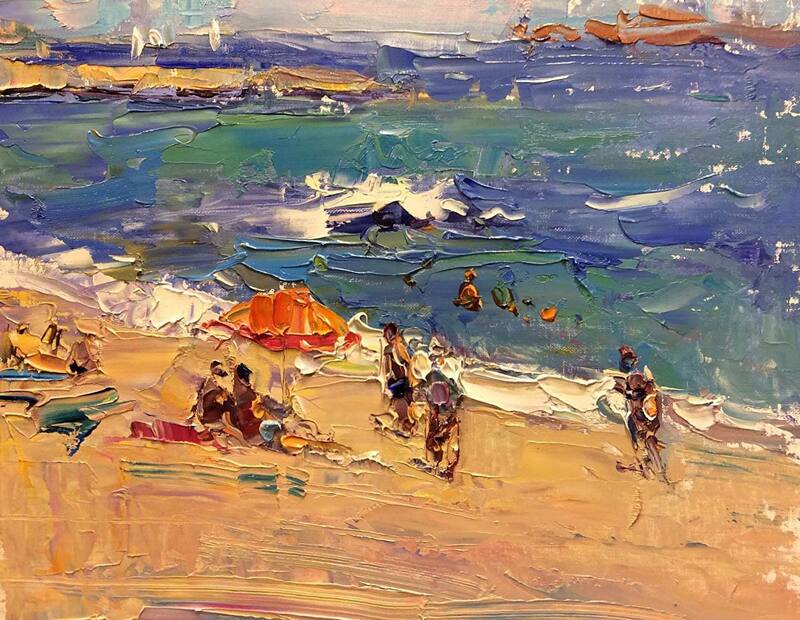 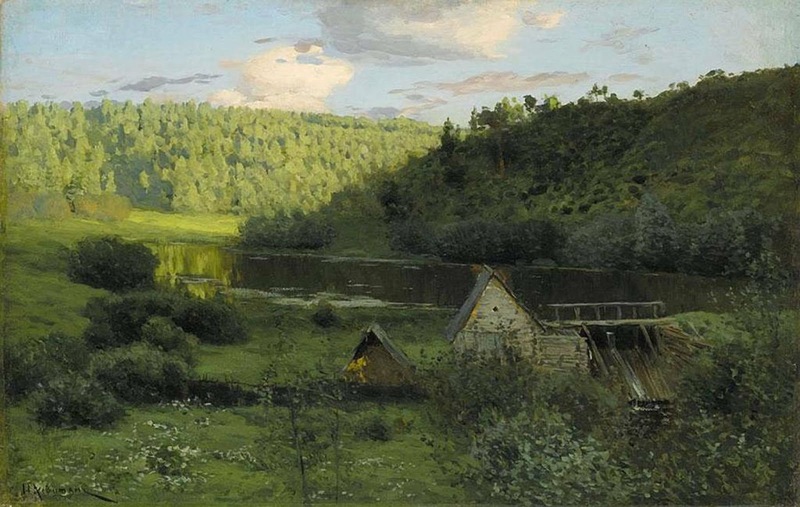 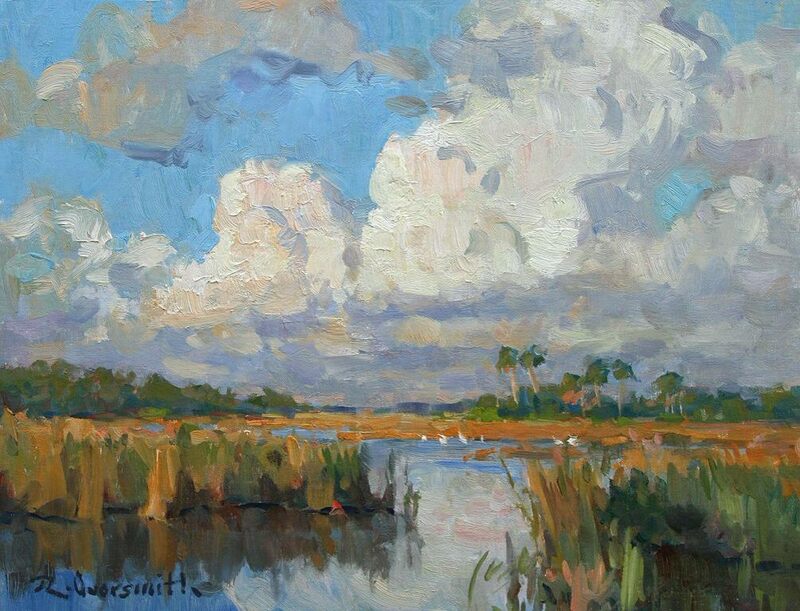 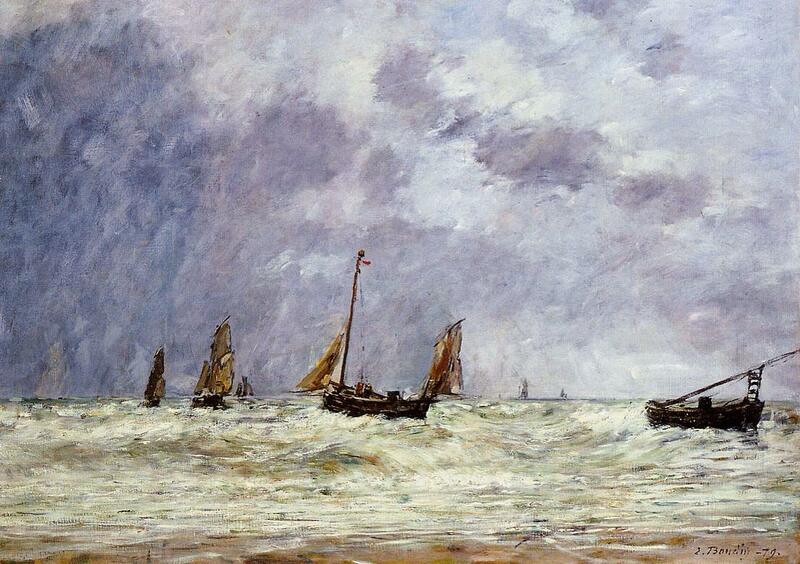 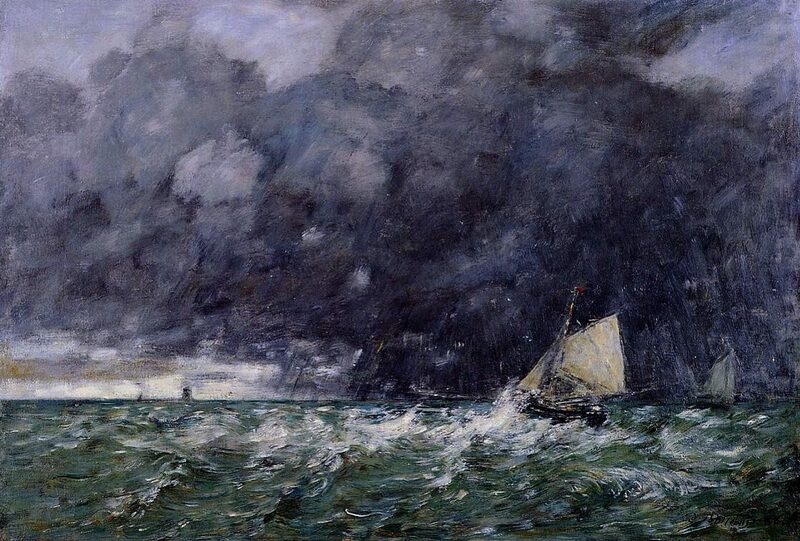 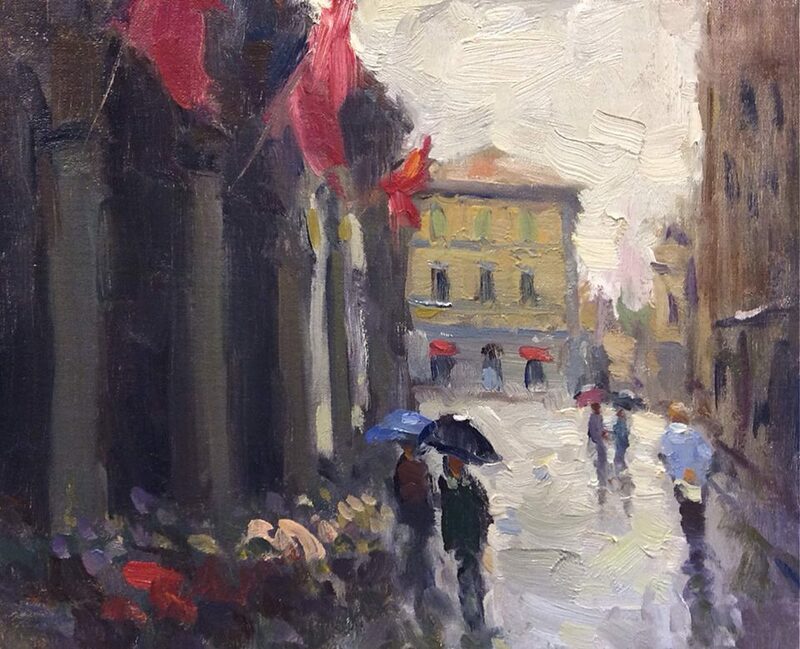 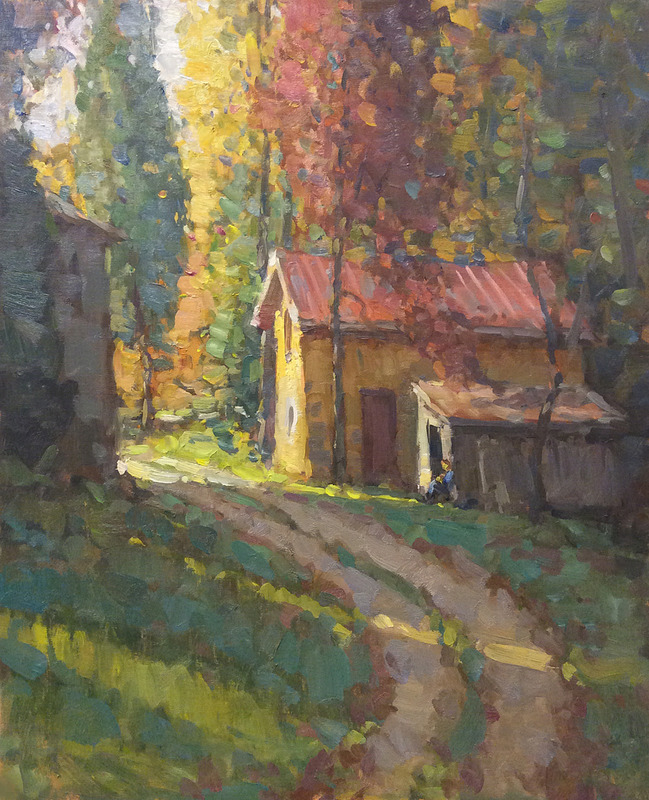 There he gained experience in plein air painting and found direction in his work as an oil painter. 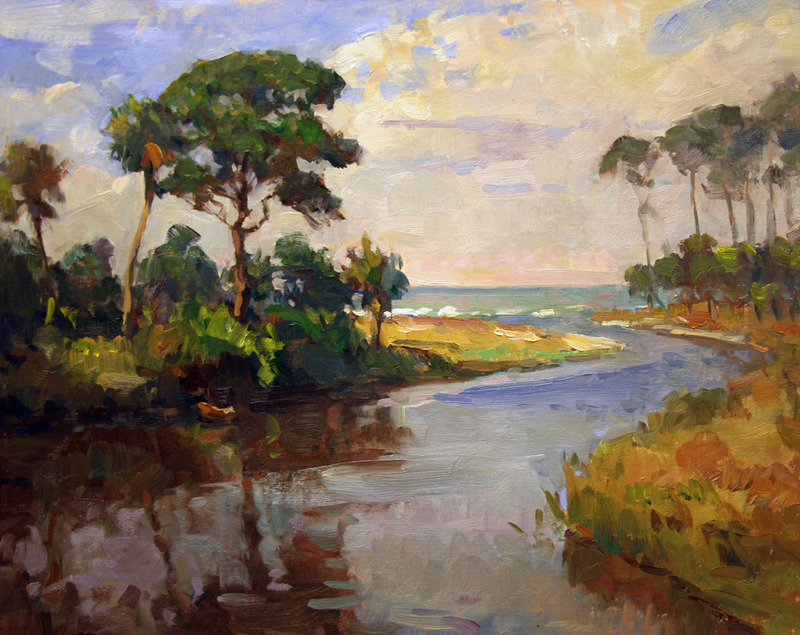 He graduated from Kendall College with a Bachelor of Fine Arts degree in 1995 and moved back to his home state of North Carolina to pursue his dream of becoming a professional artist. 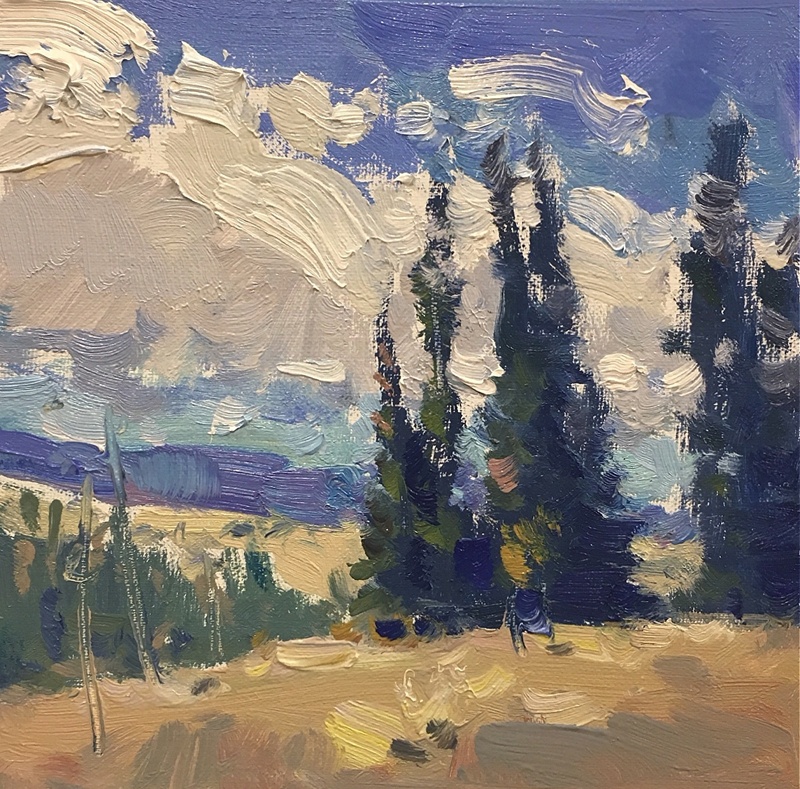 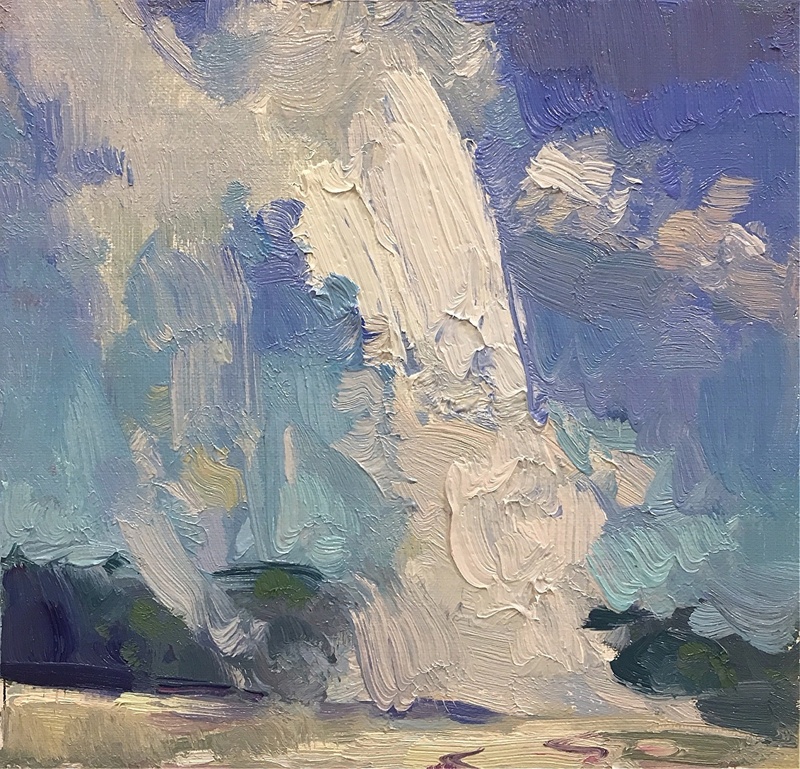 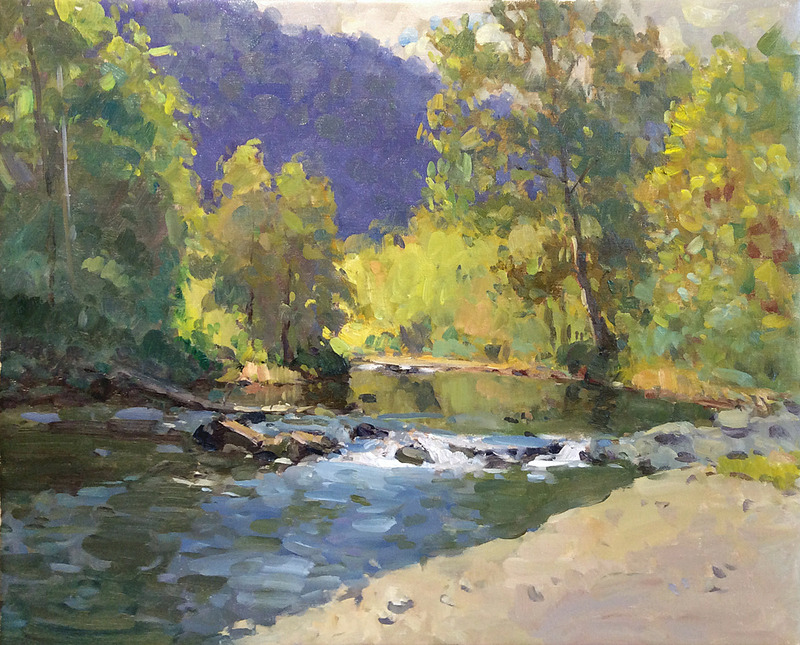 The natural beauty of Western North Carolina has proven to offer infinite inspiration for Richard's impressionistic landscapes. 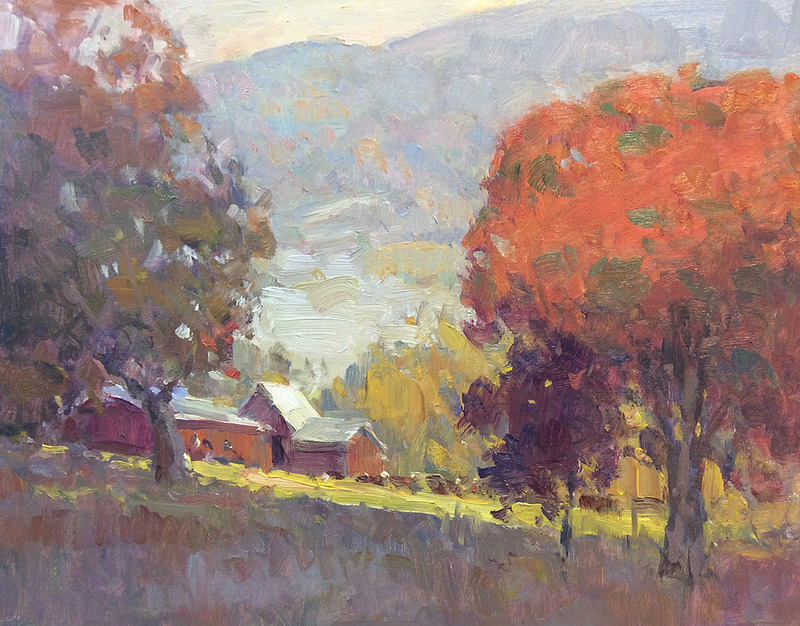 From rolling mountains to abundant waterfalls, the majestic Biltmore Estate to a simple farm scene, this region evokes the artist’s muse. 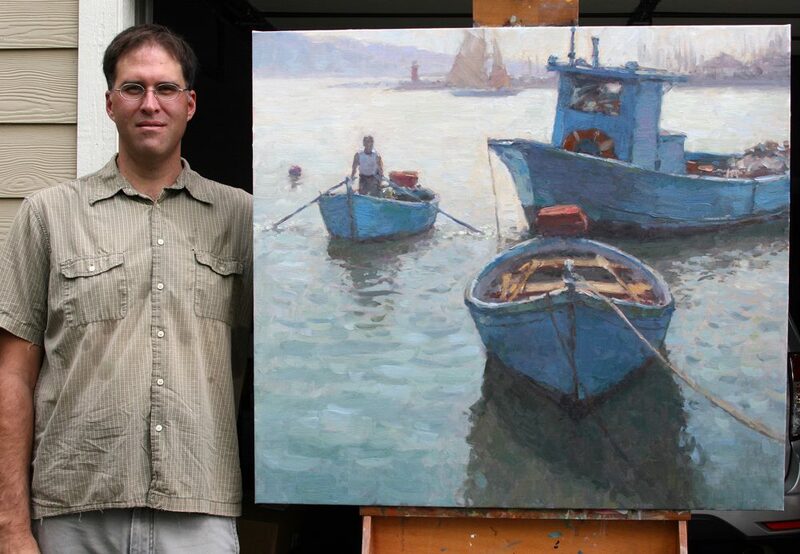 Richard finds inspiration not only at home but in his many travels. 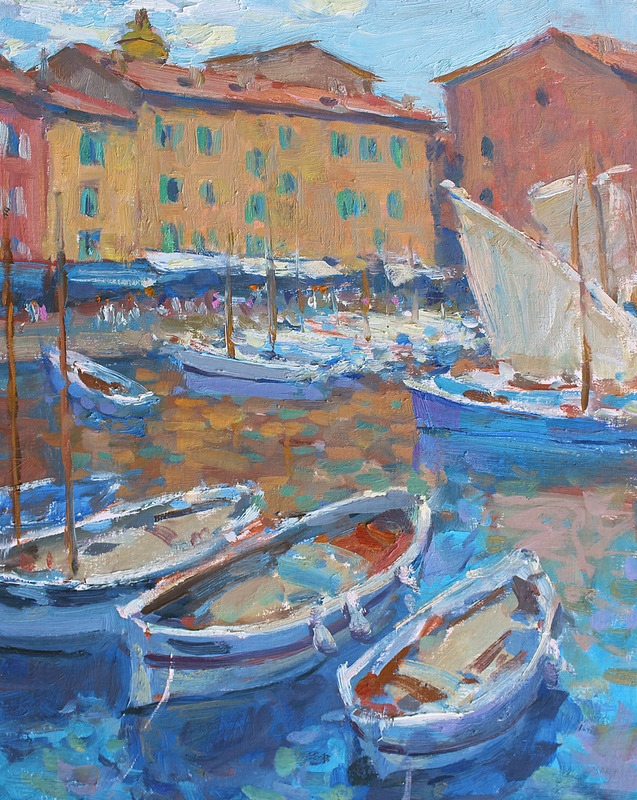 He has painted all over the USA and has taken several trips overseas to France and Italy. 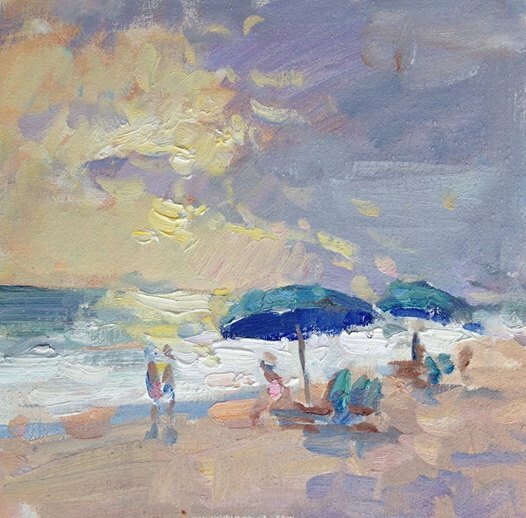 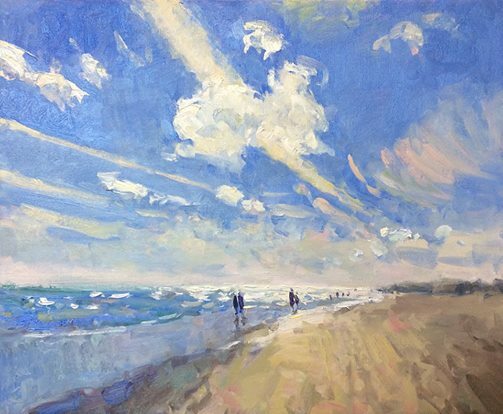 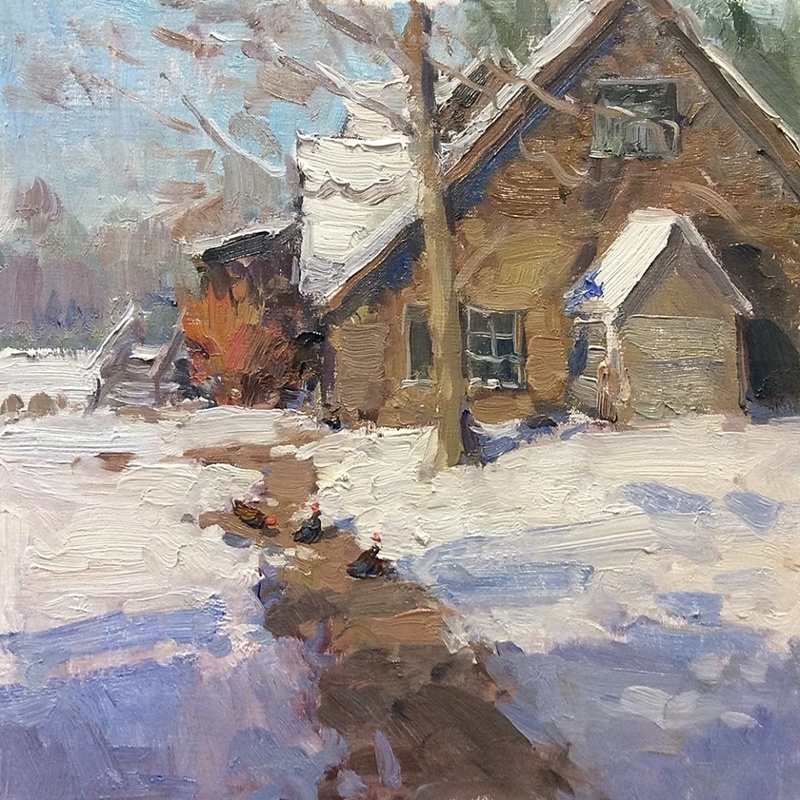 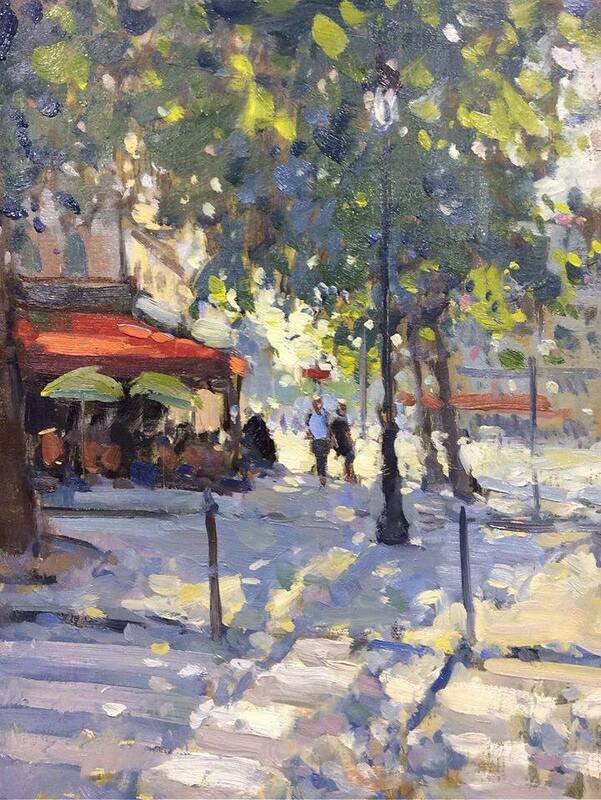 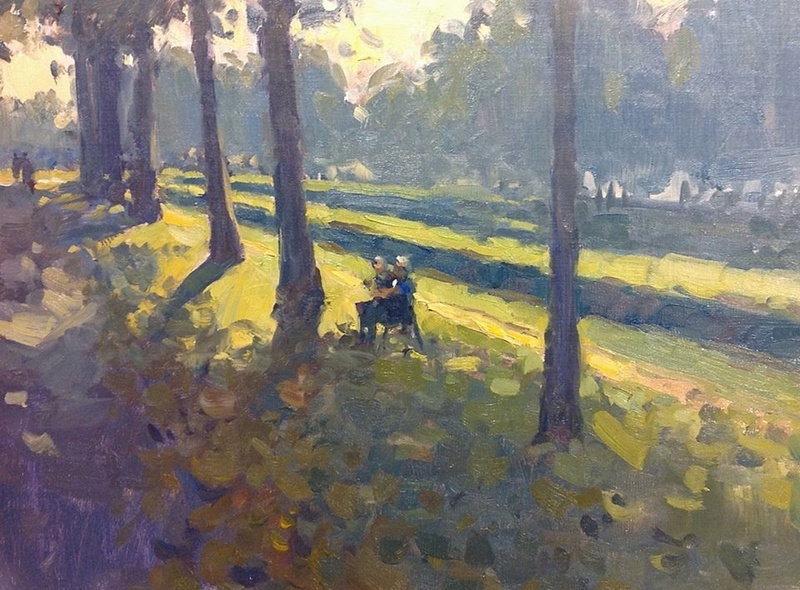 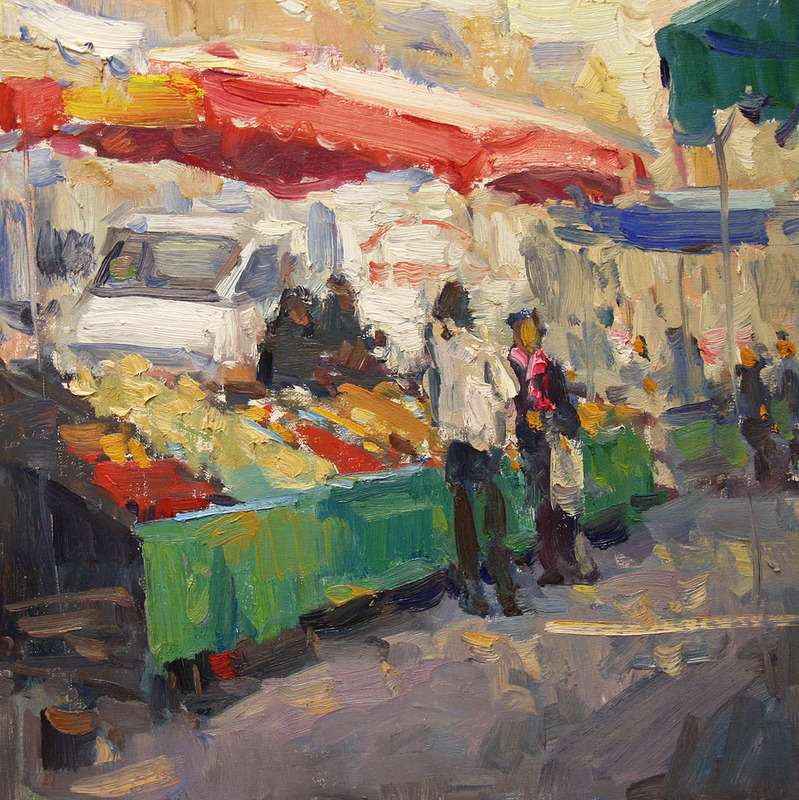 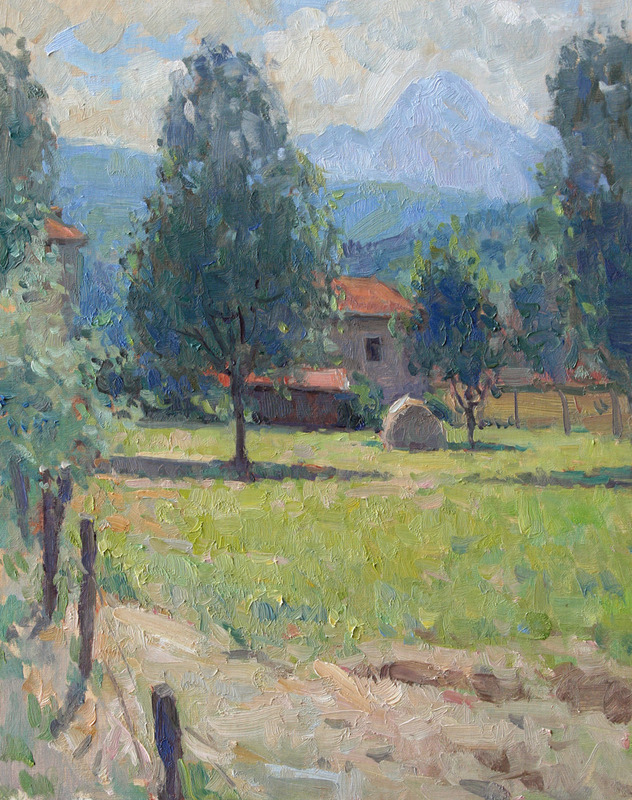 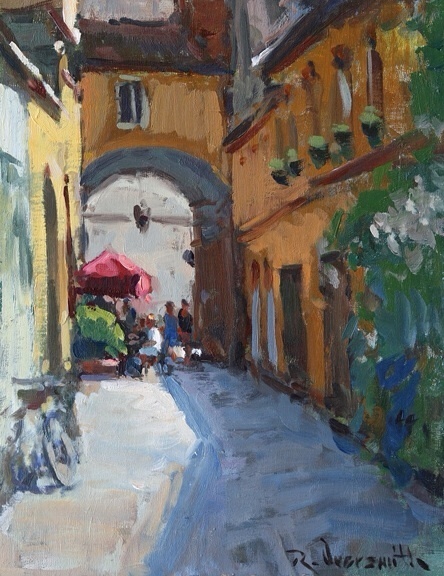 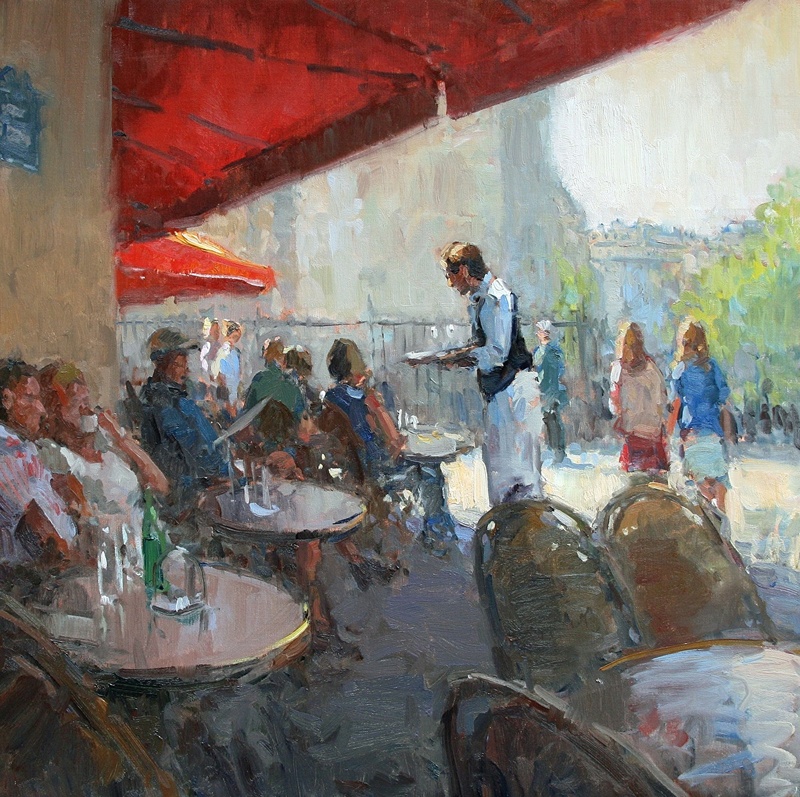 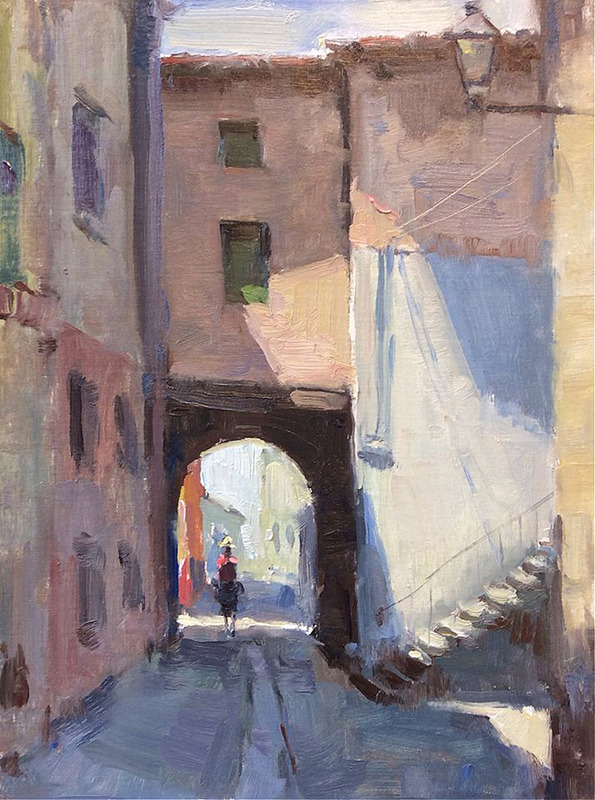 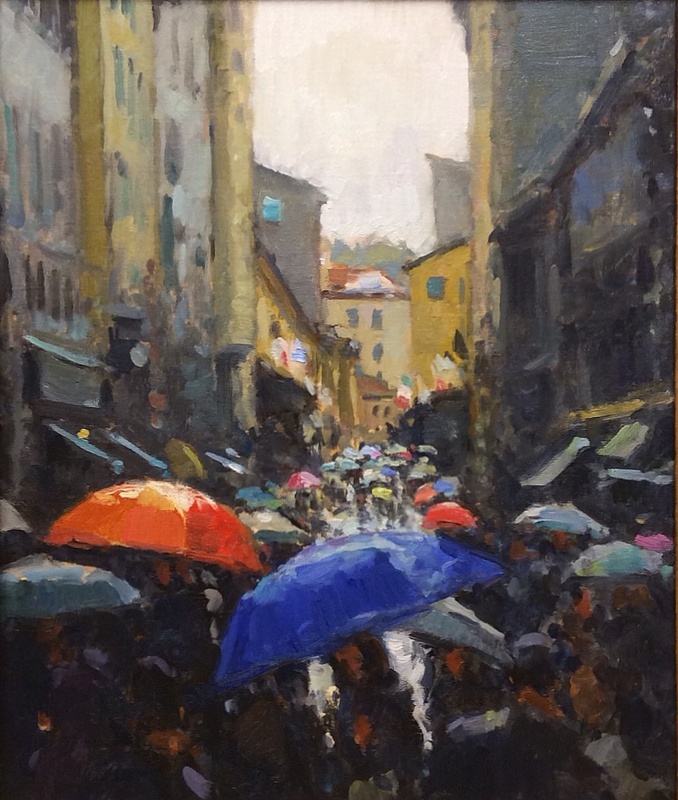 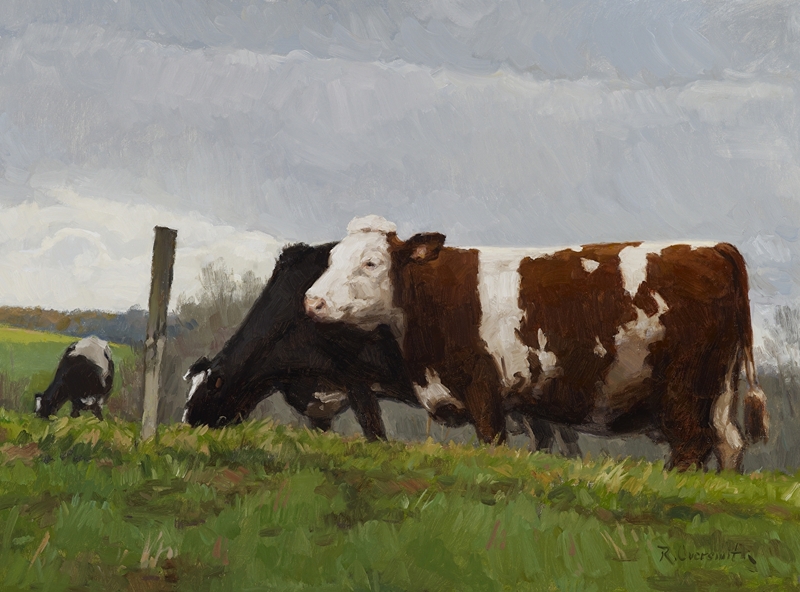 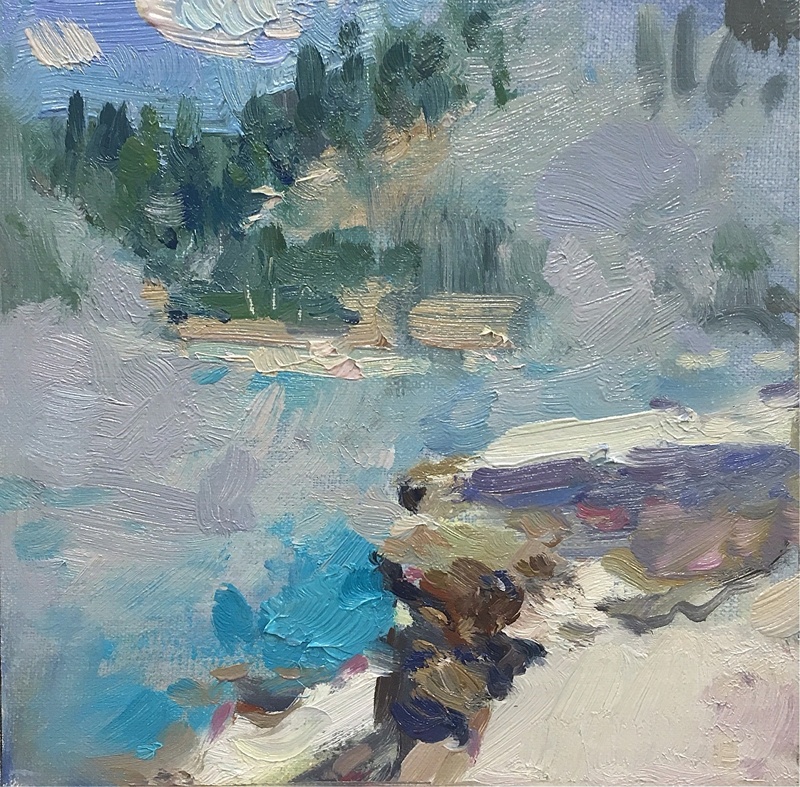 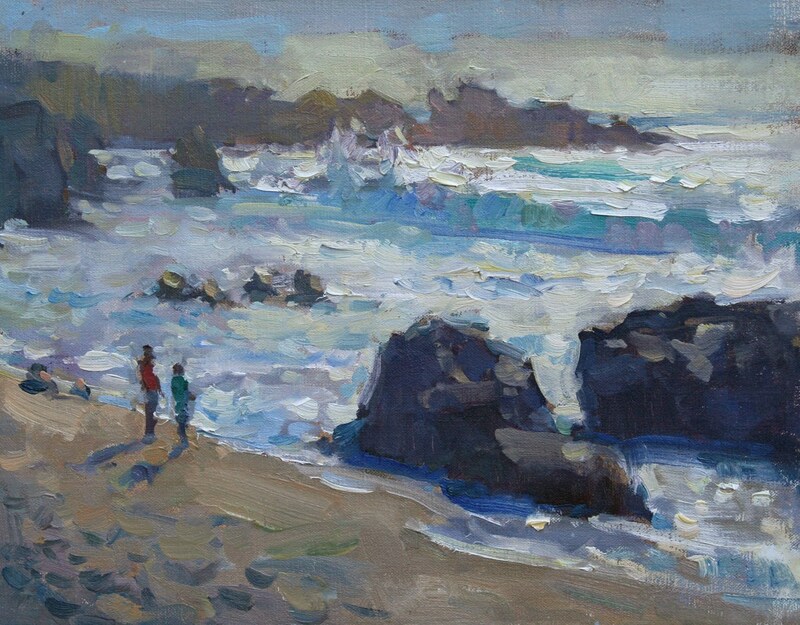 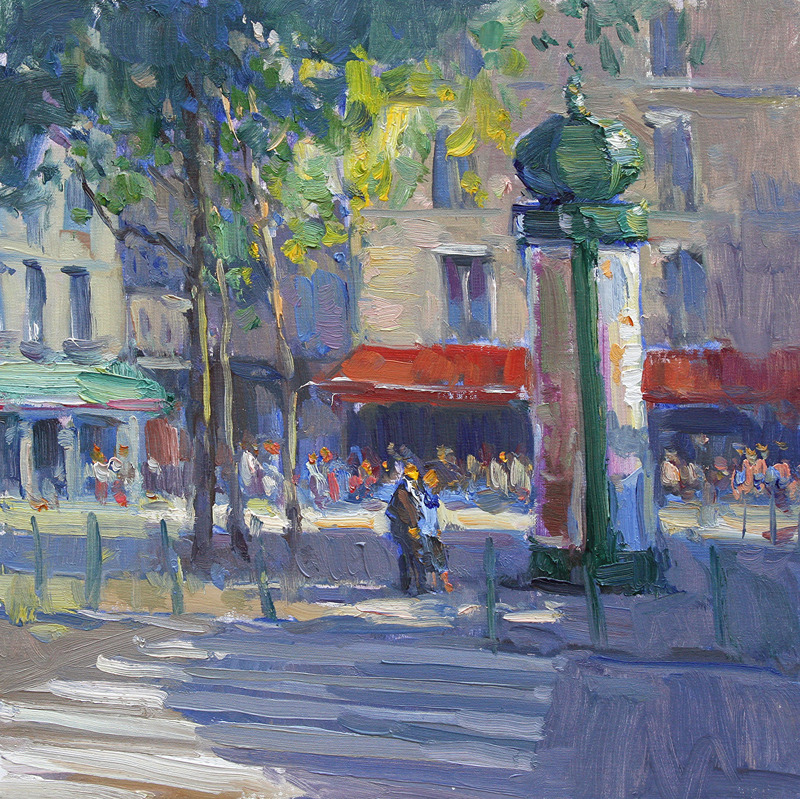 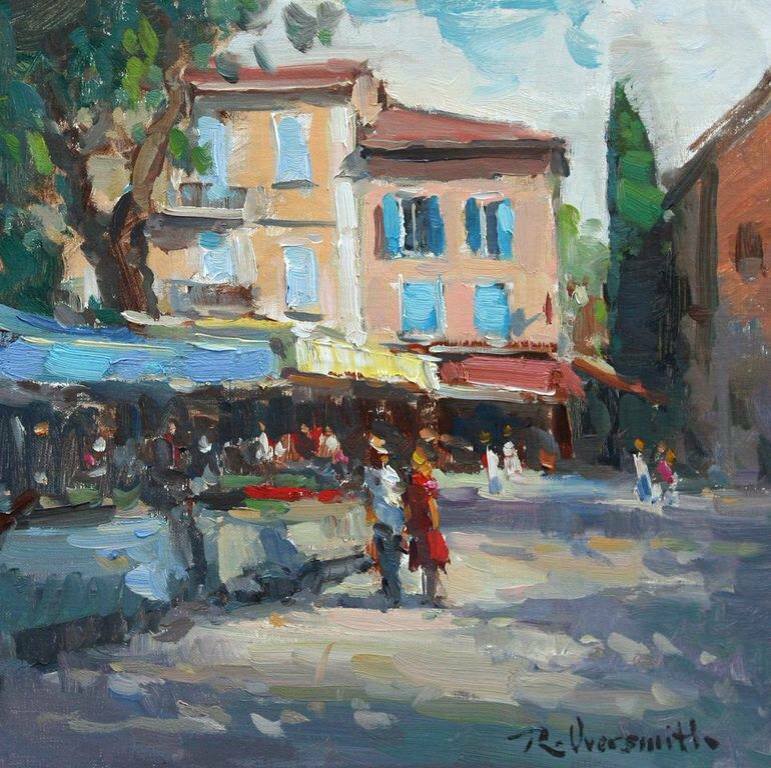 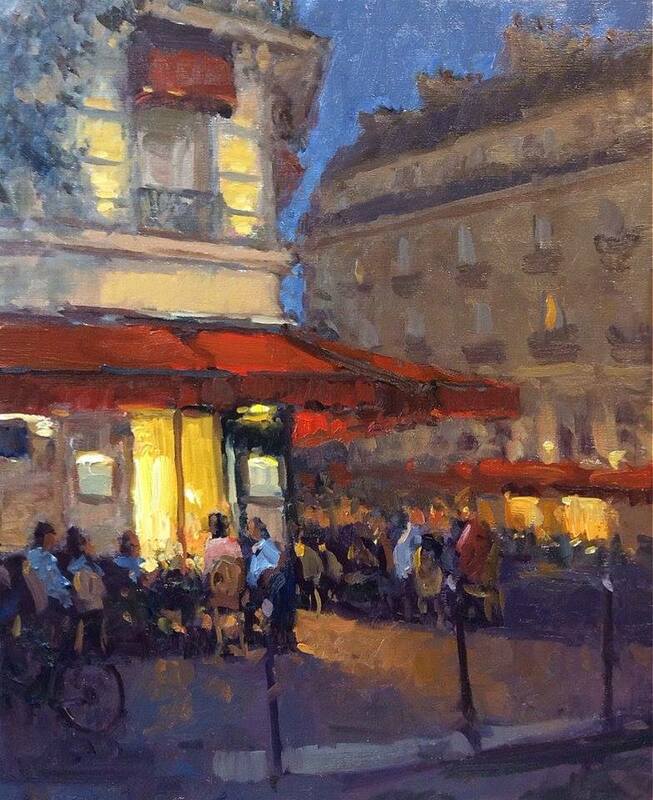 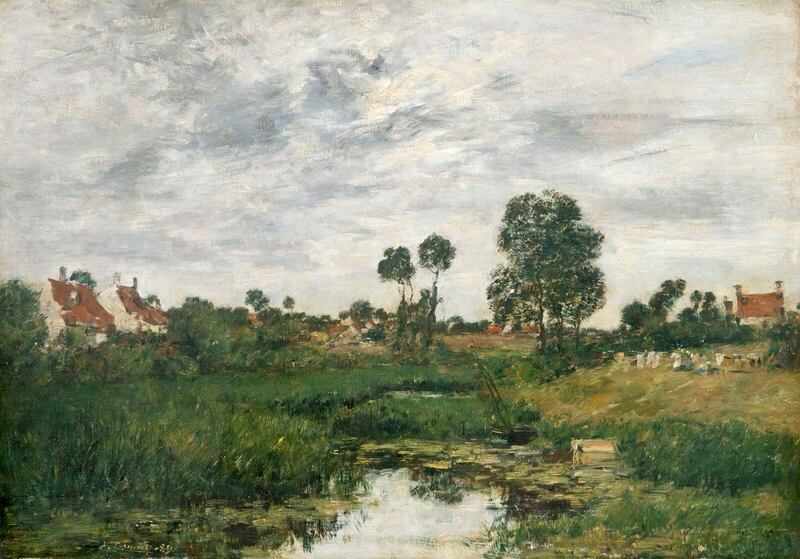 Whether at home or abroad, Richard surrounds himself in the elements of the scene while painting, in true "en plein air" fashion. 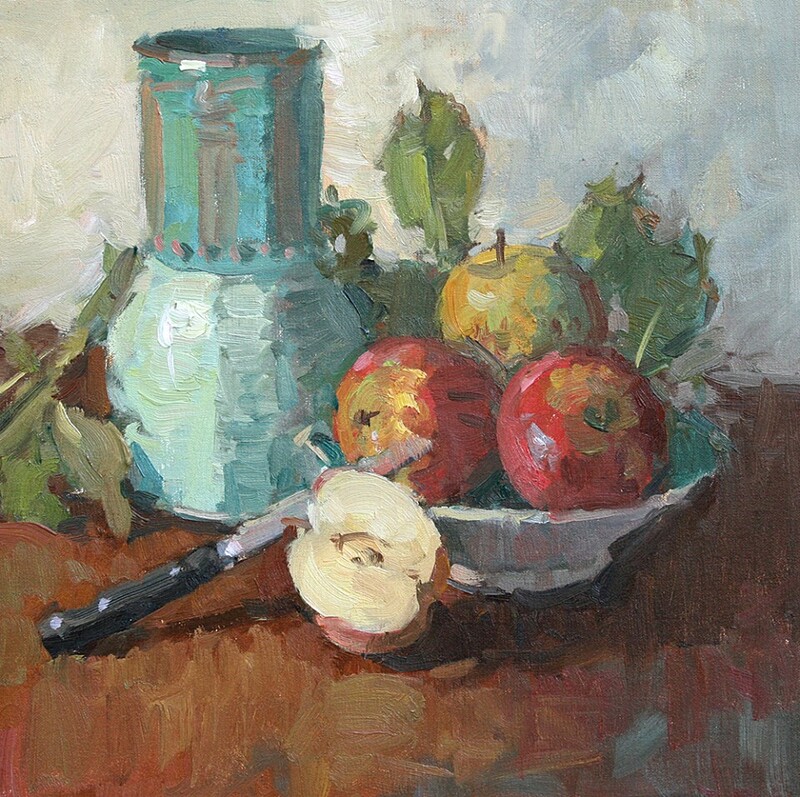 In the studio, his sense of vision and mood guide him to produce still lifes ranging from the classic to the imaginative. 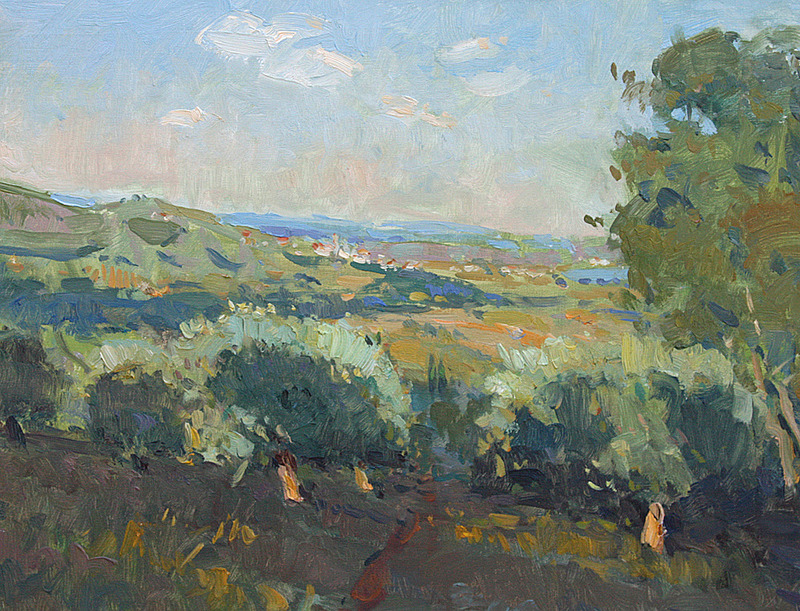 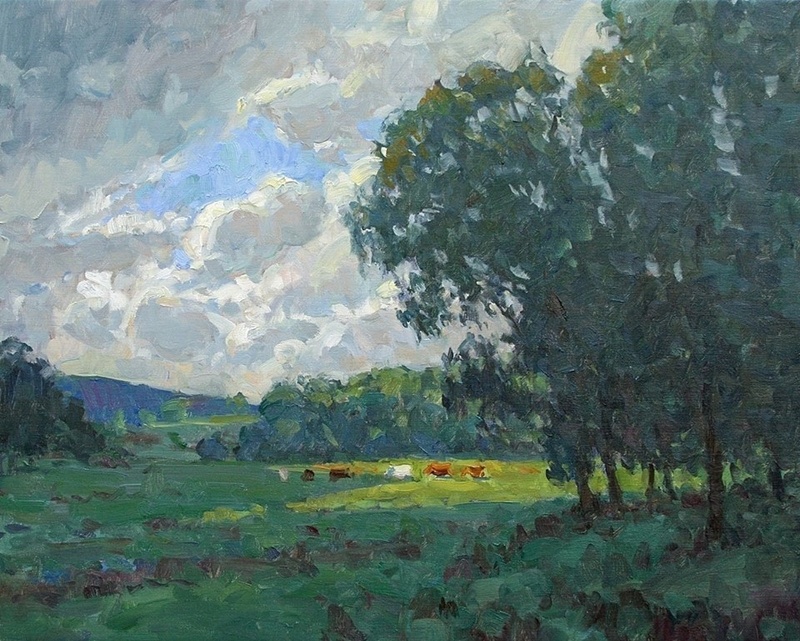 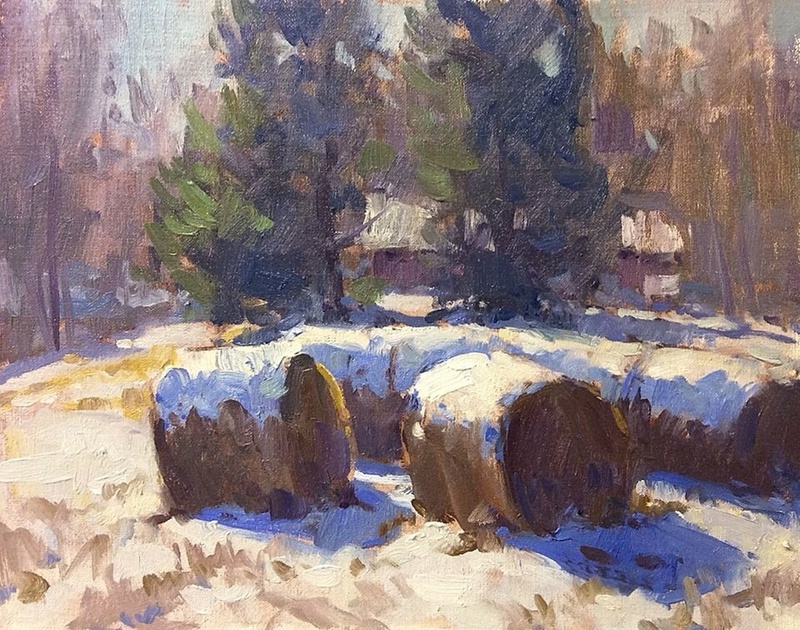 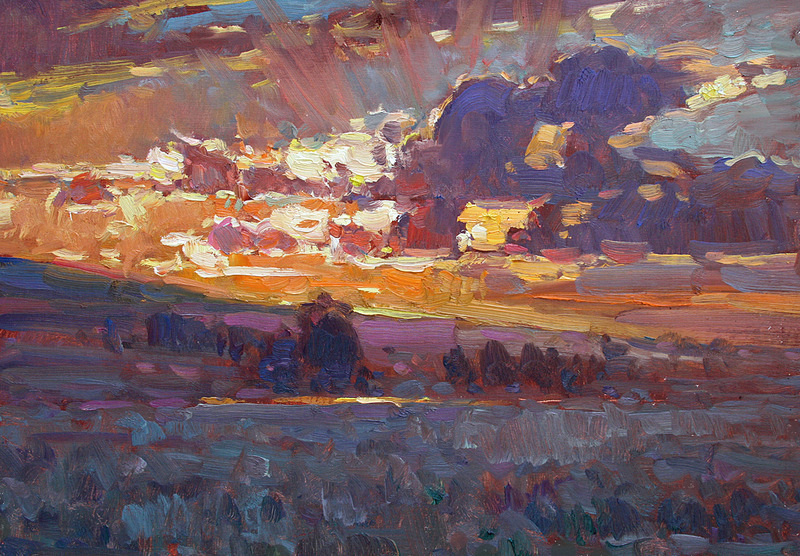 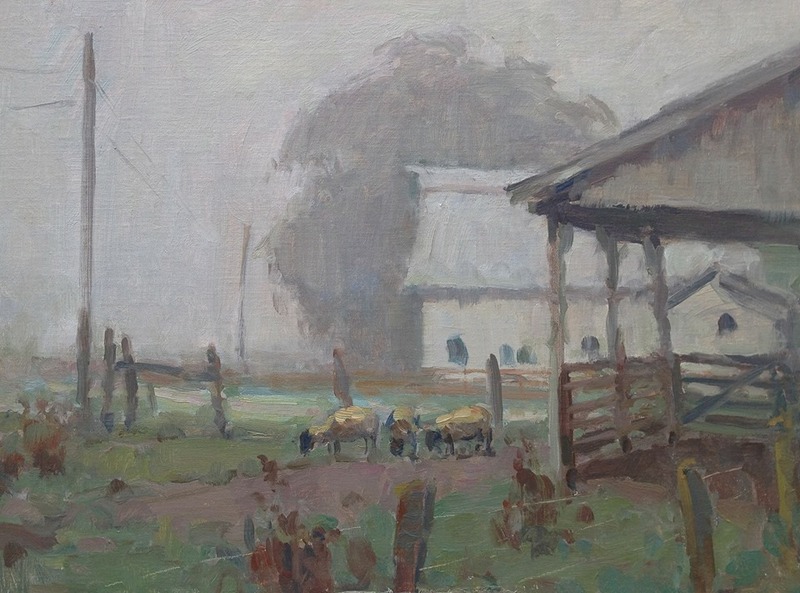 2001 Week-long workshop with T. Allen Lawson at Scottsdale Artists' School; Scottsdale, AZ. 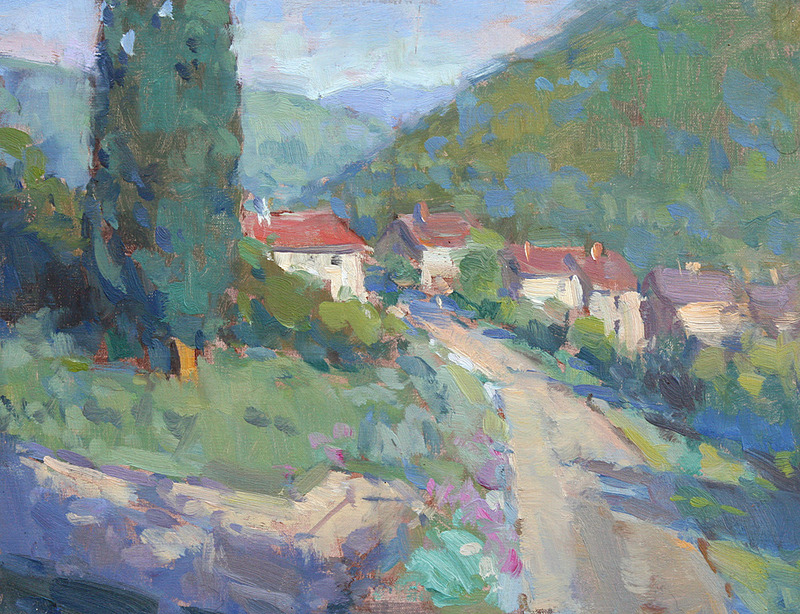 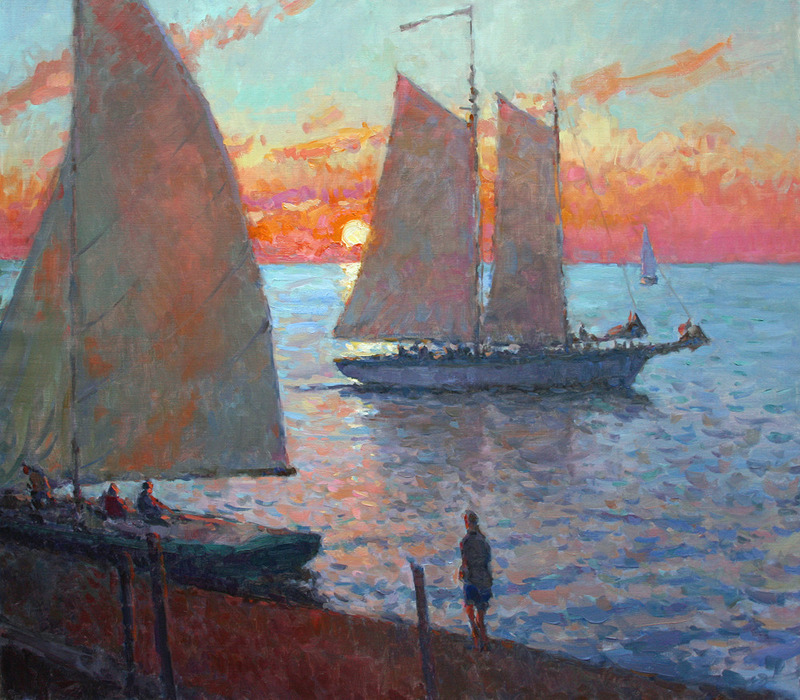 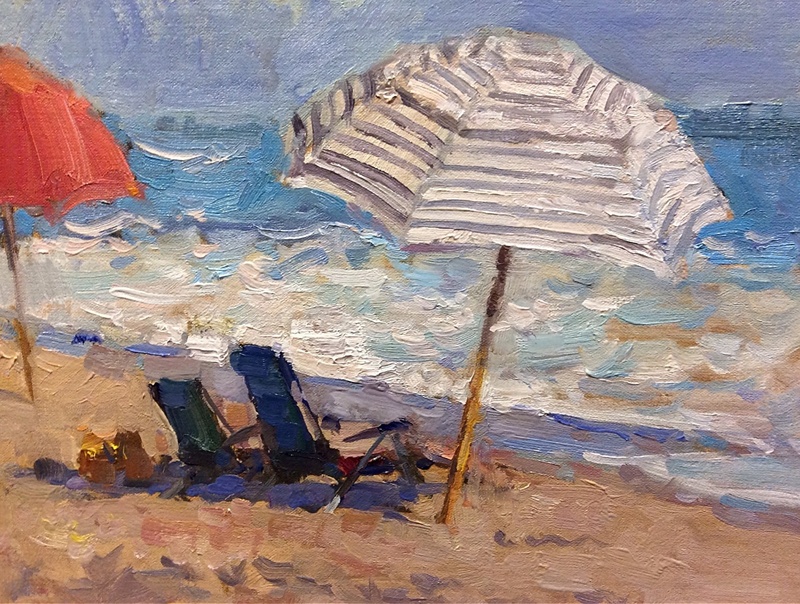 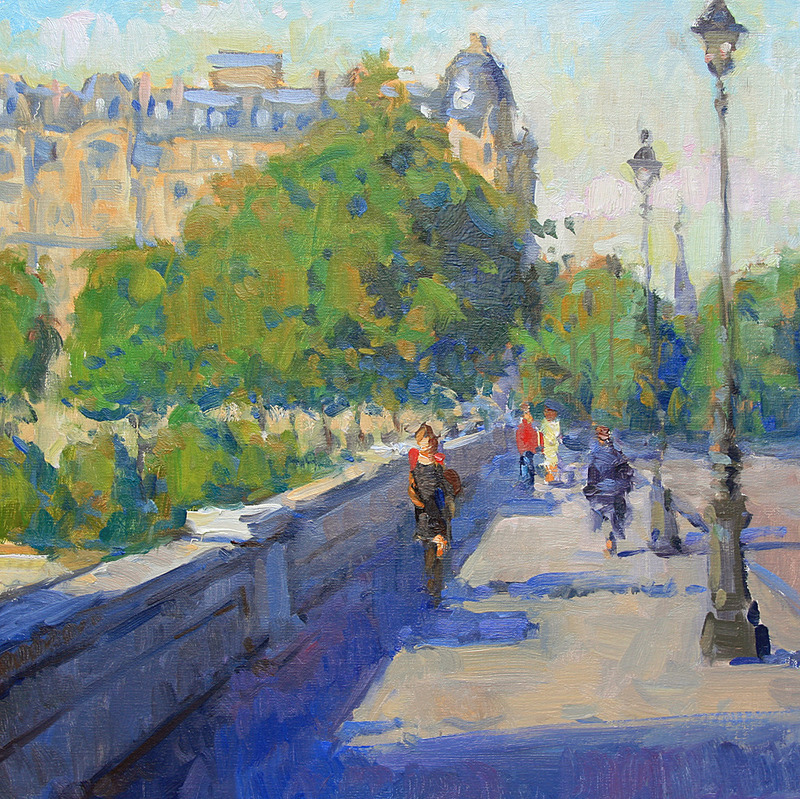 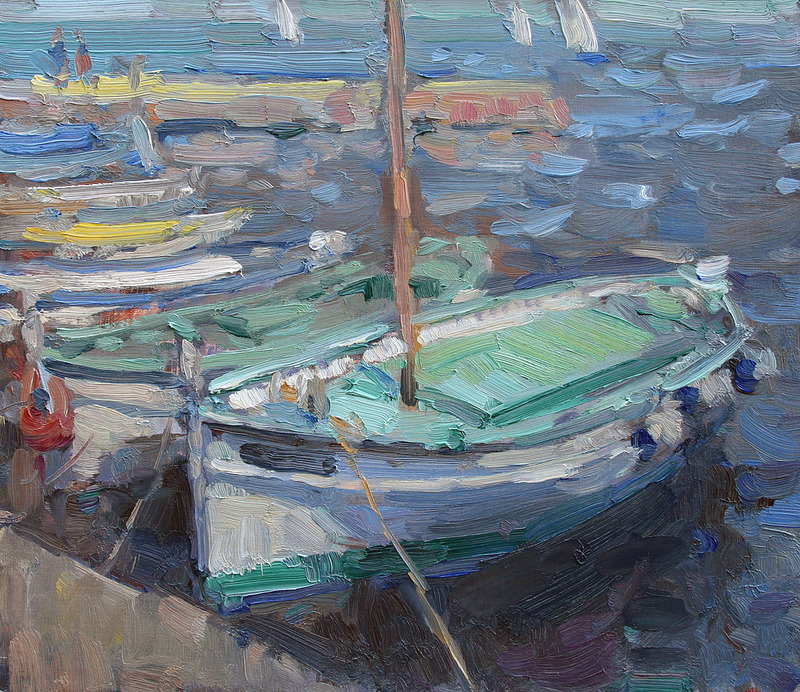 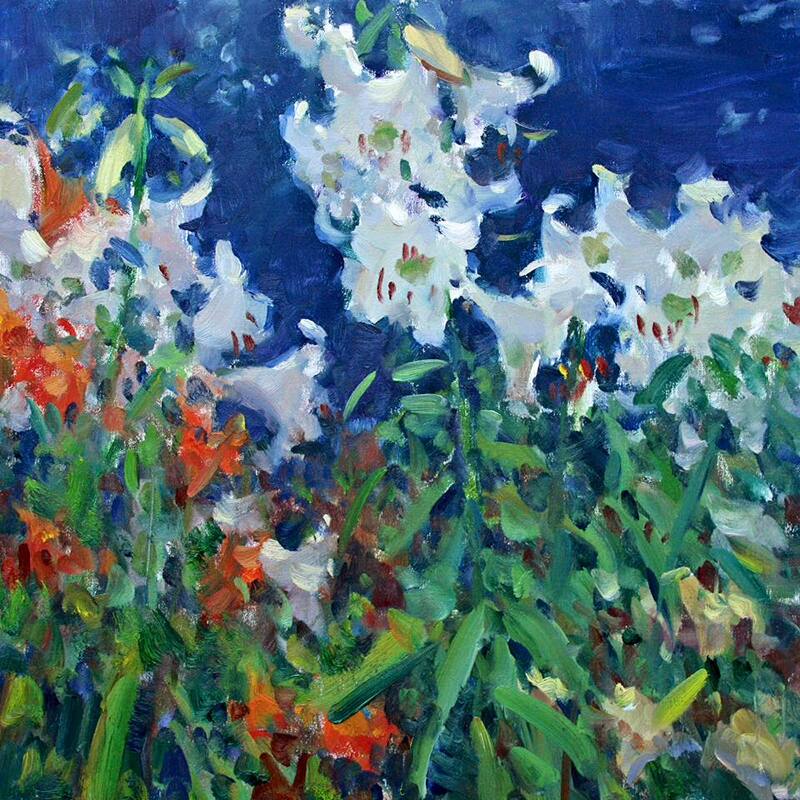 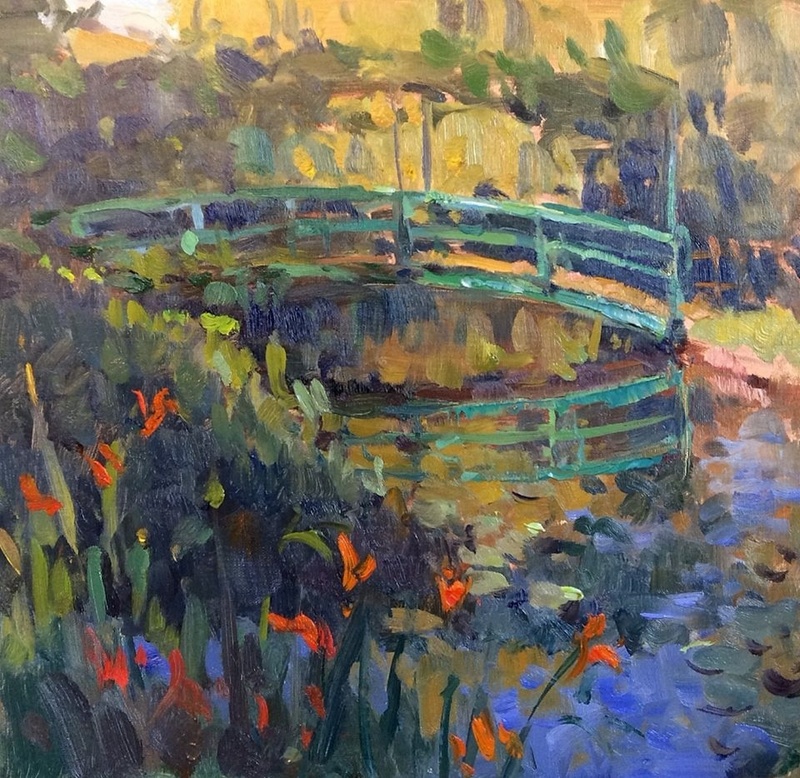 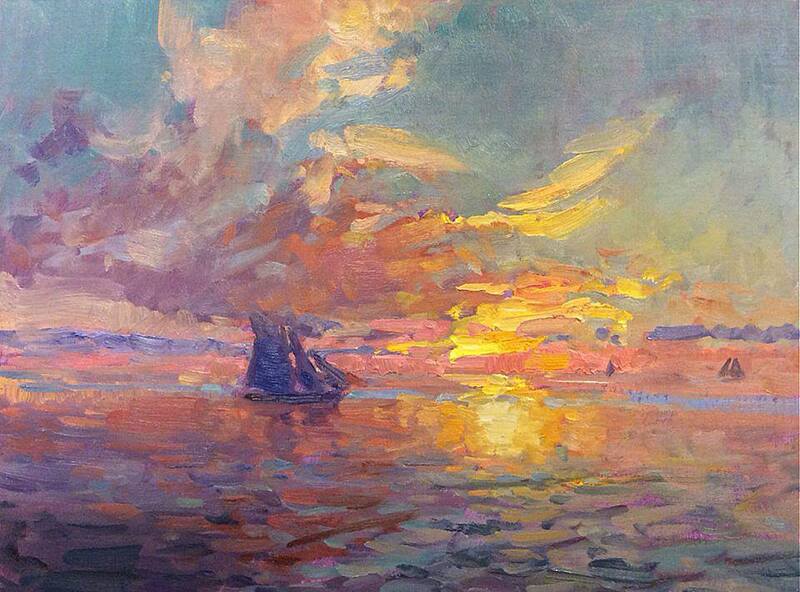 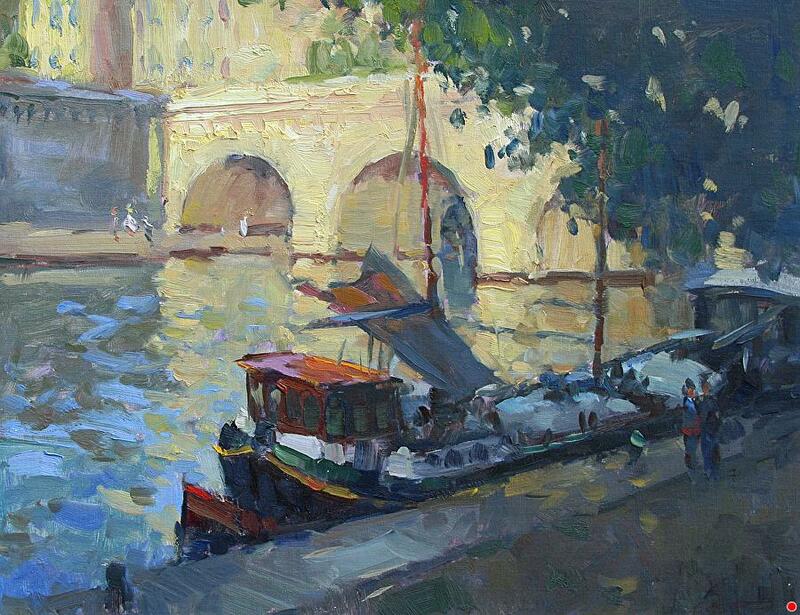 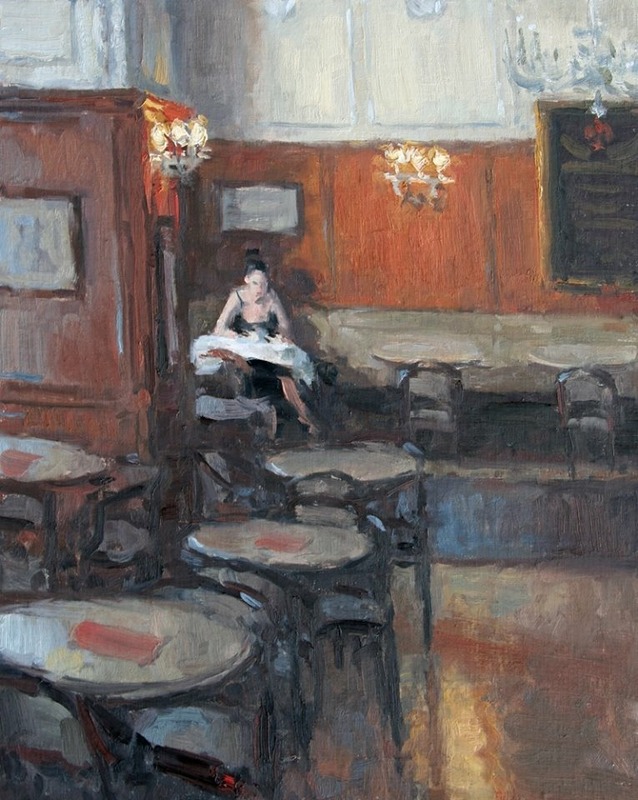 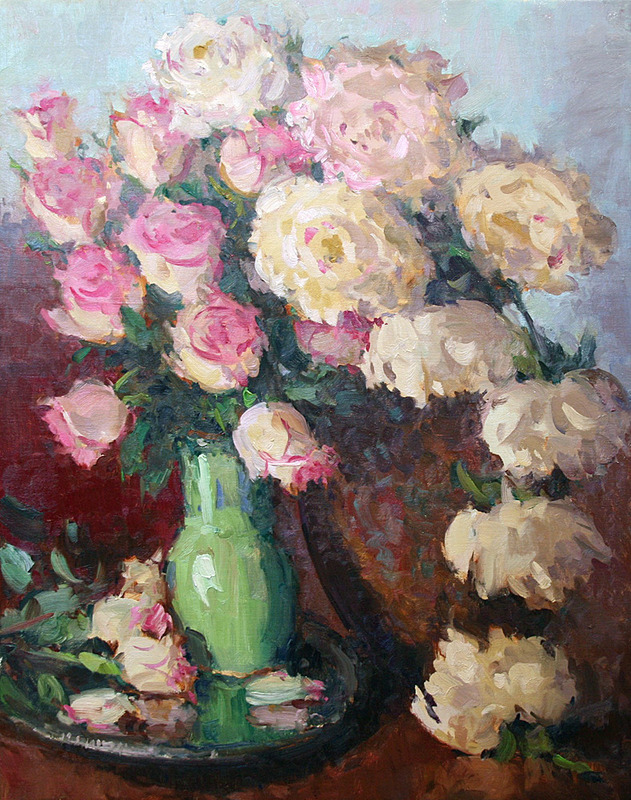 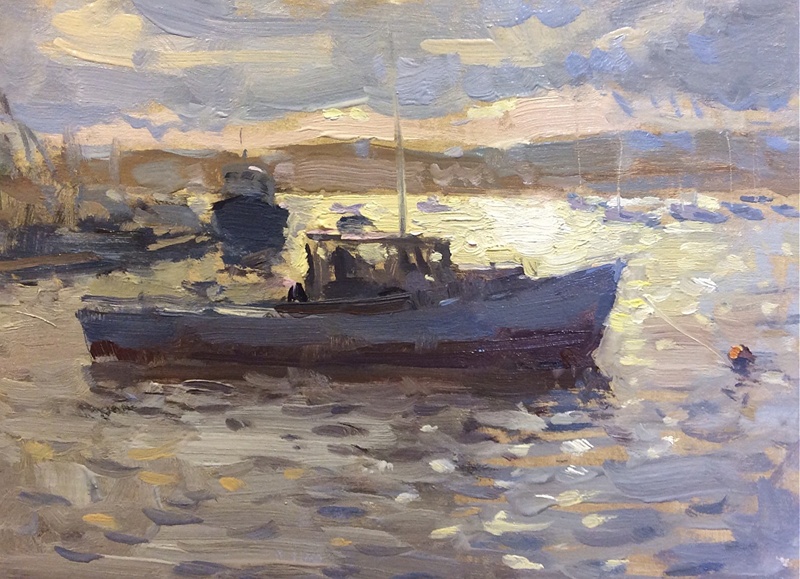 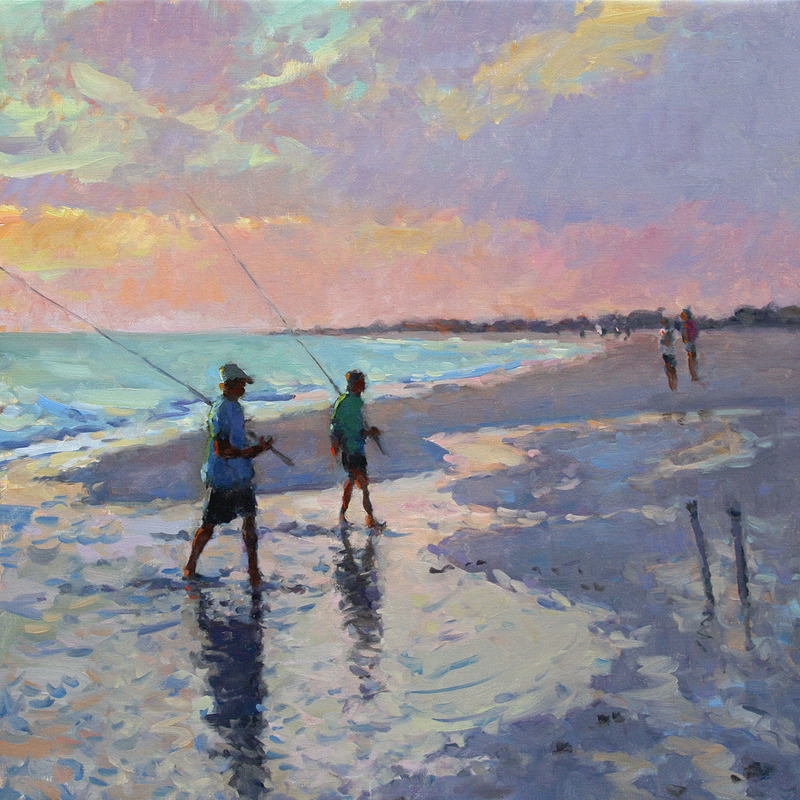 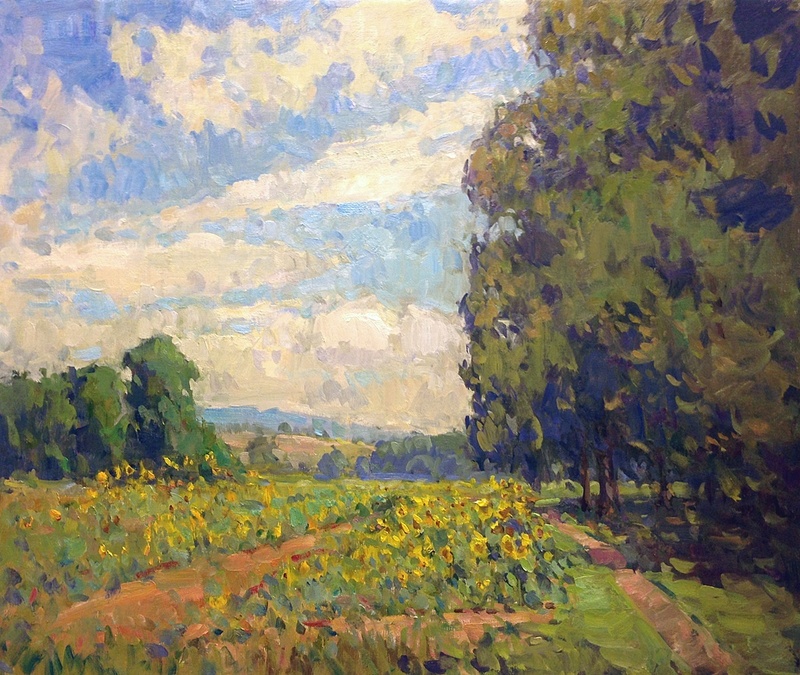 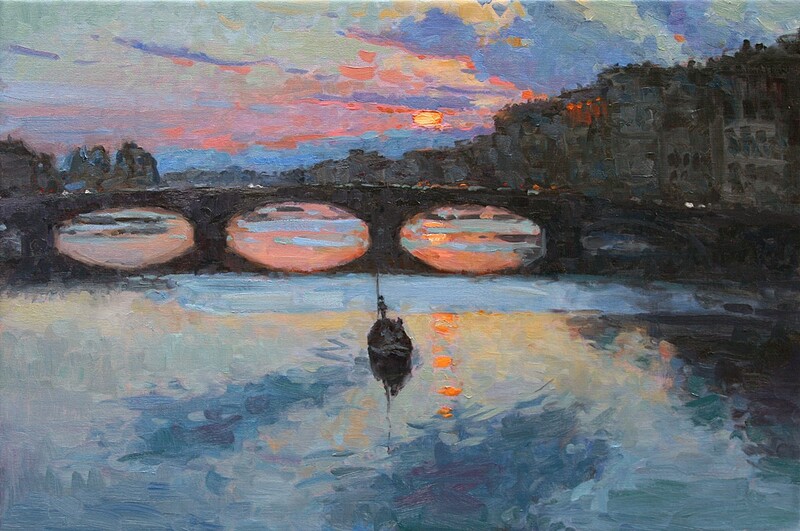 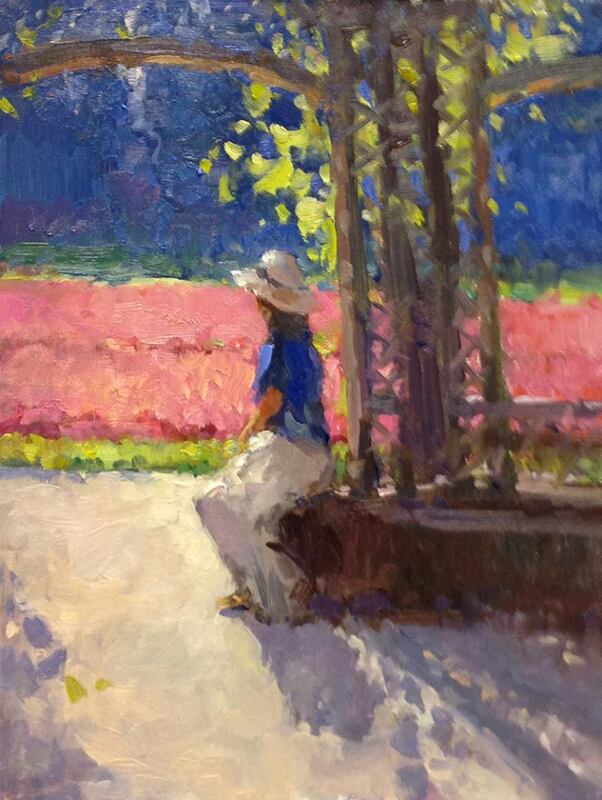 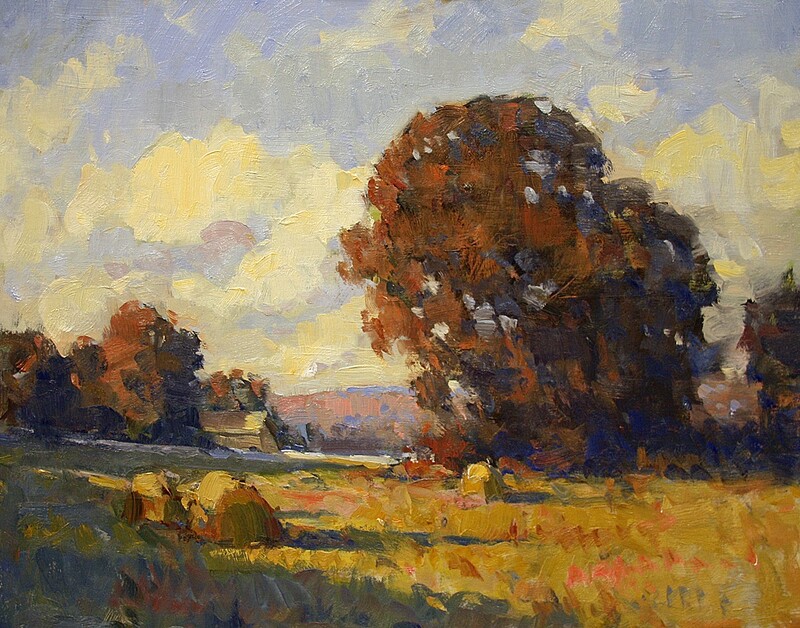 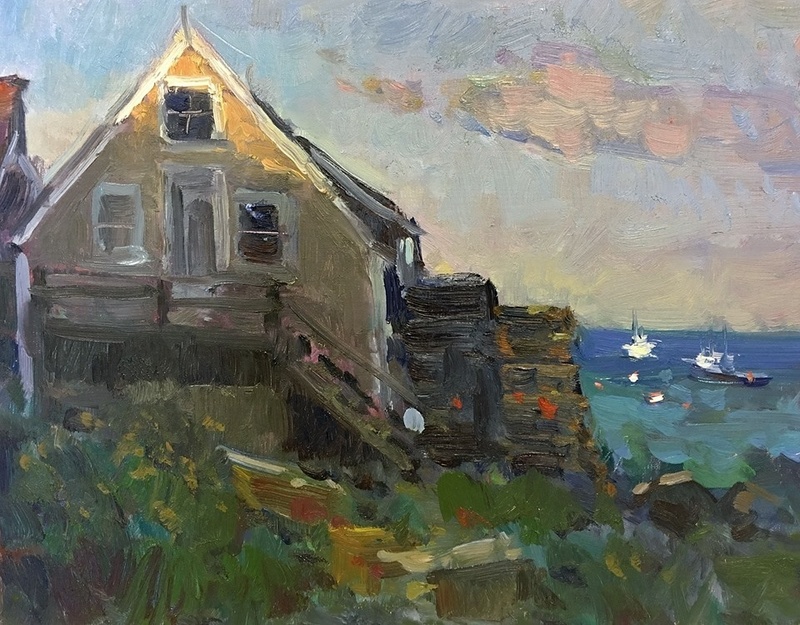 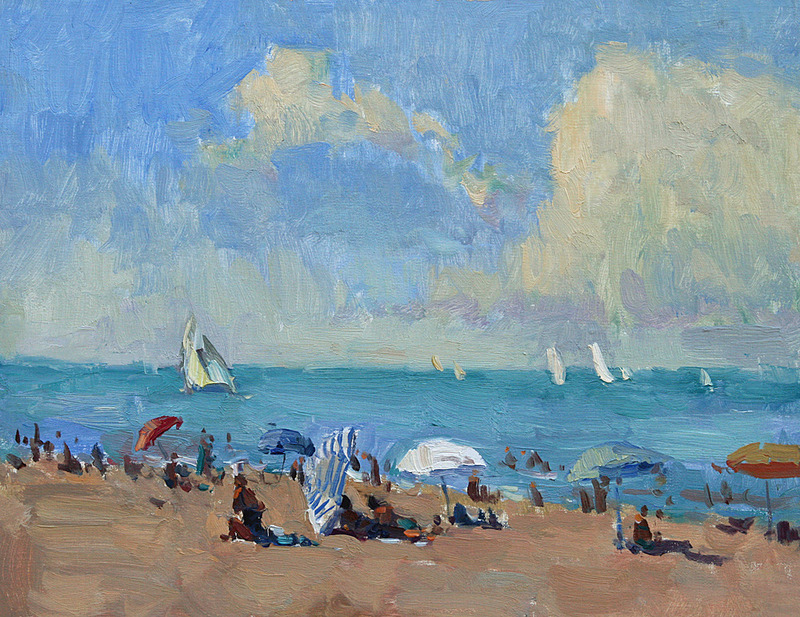 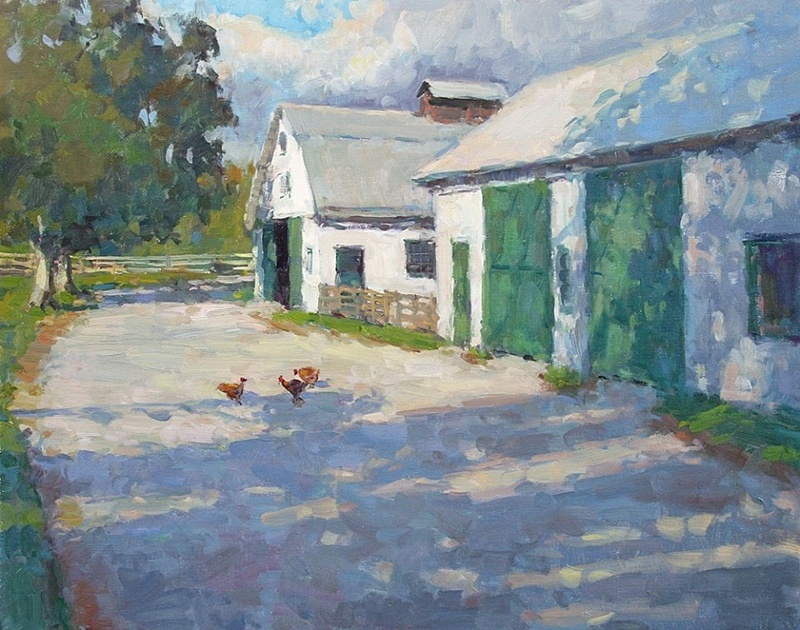 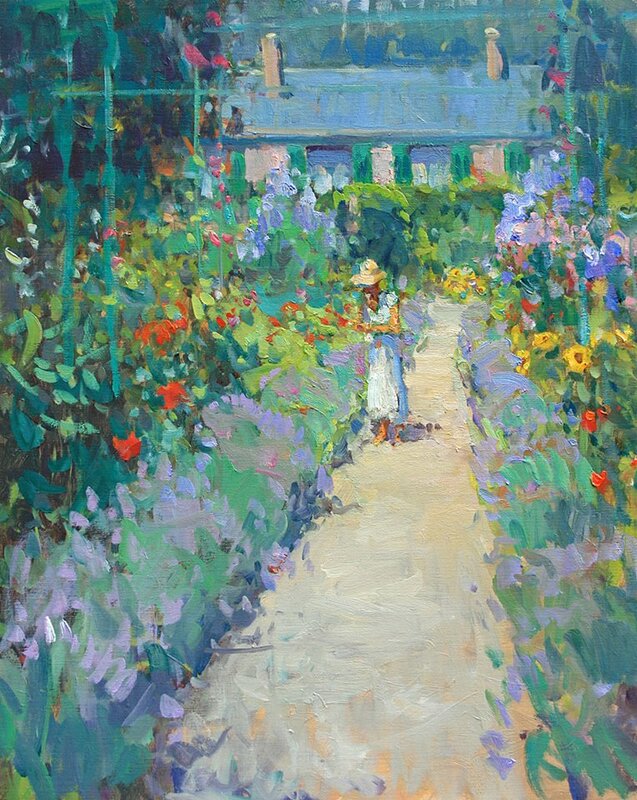 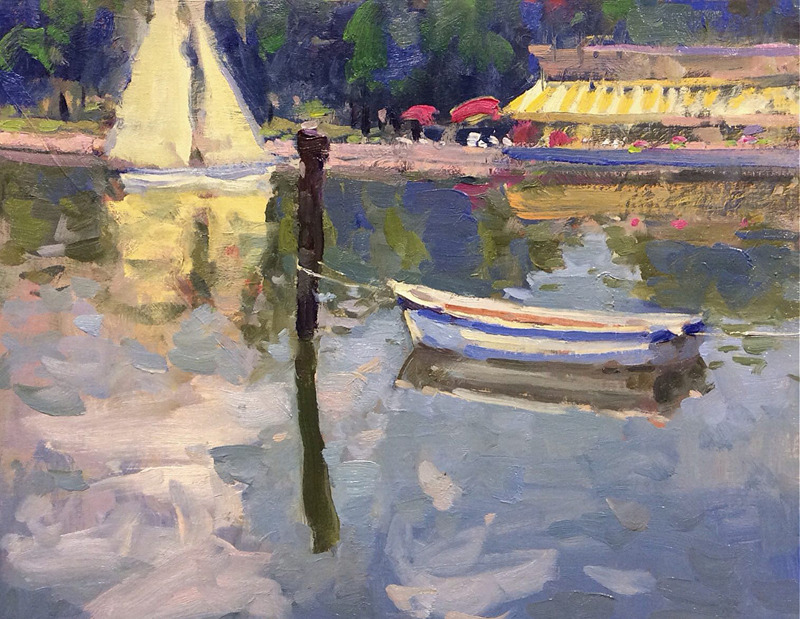 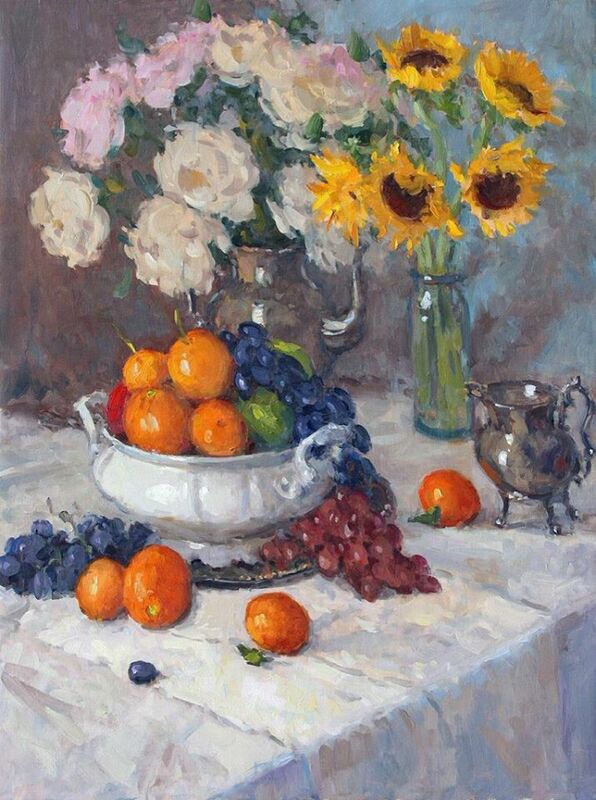 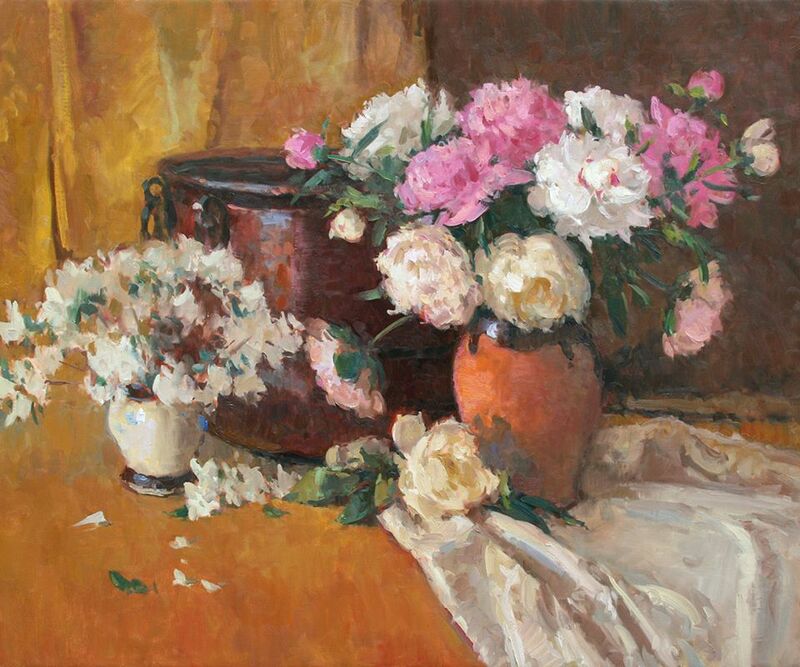 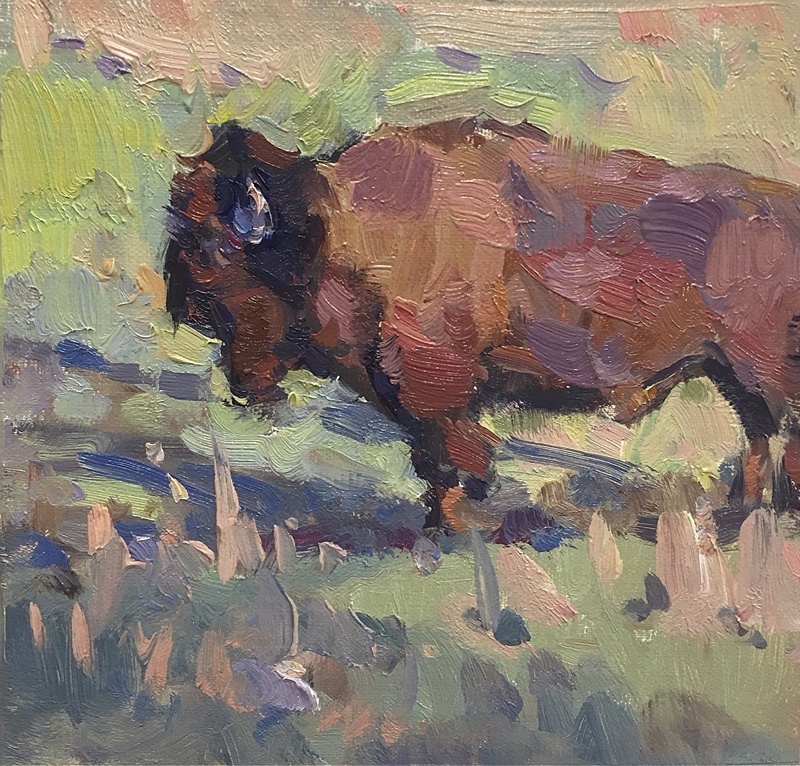 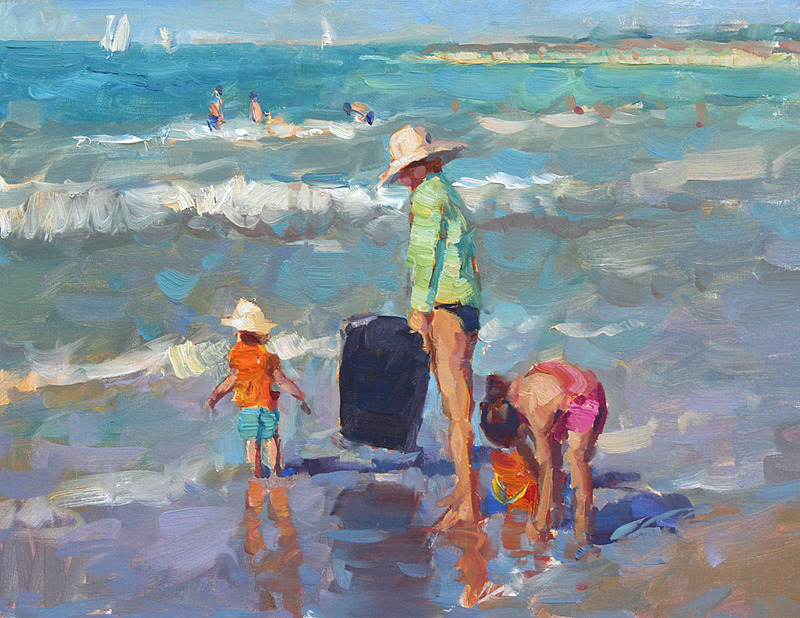 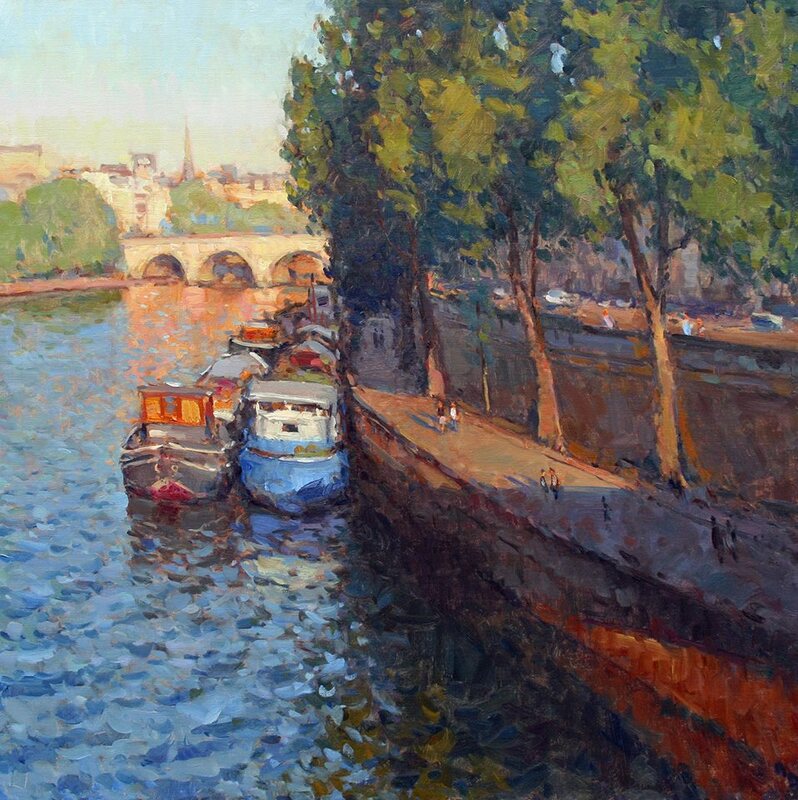 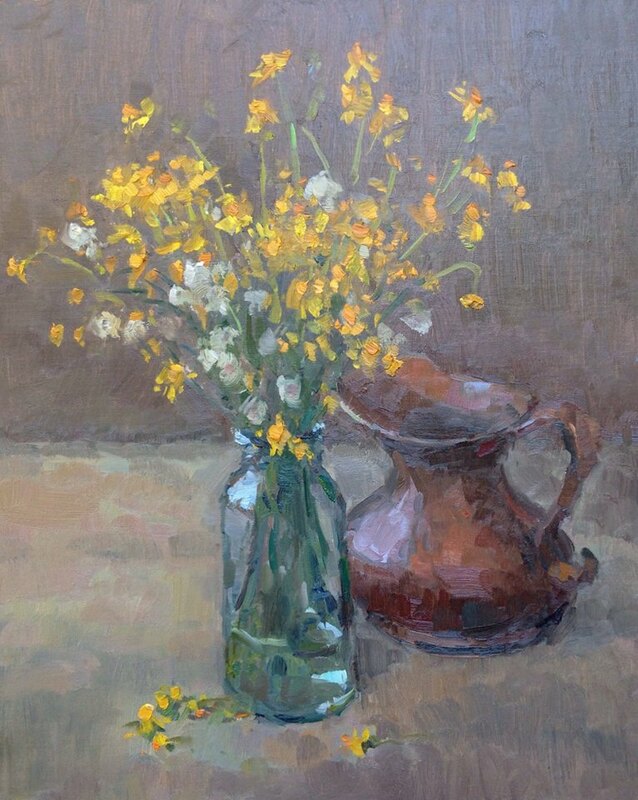 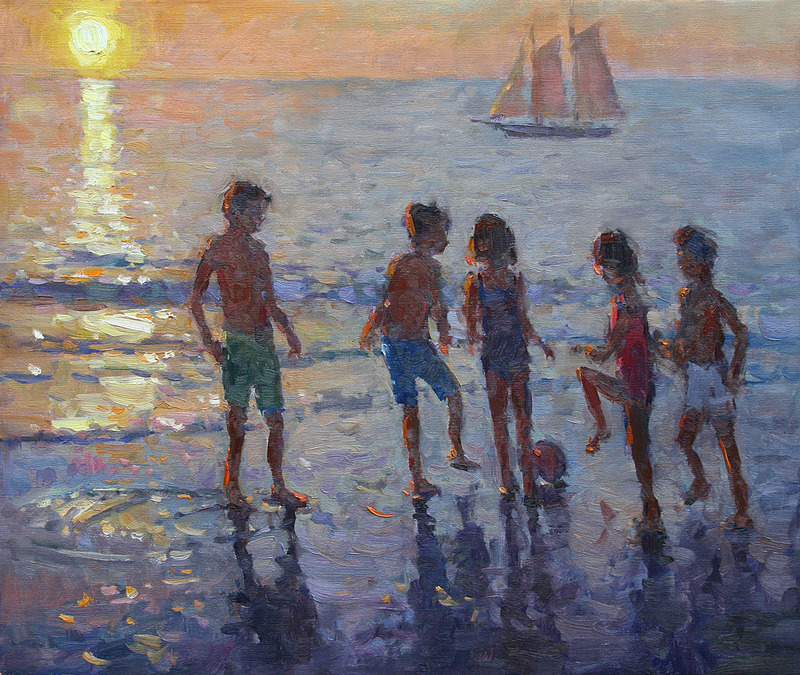 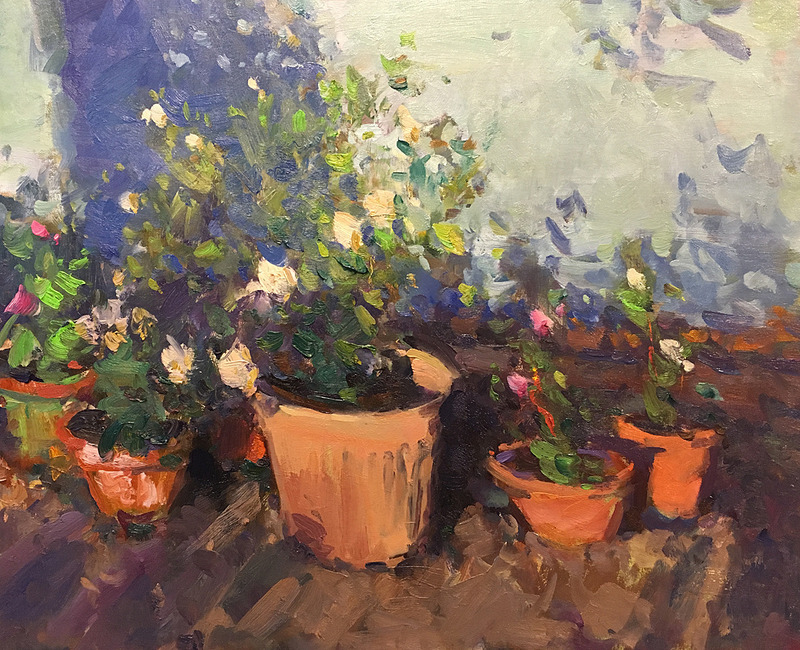 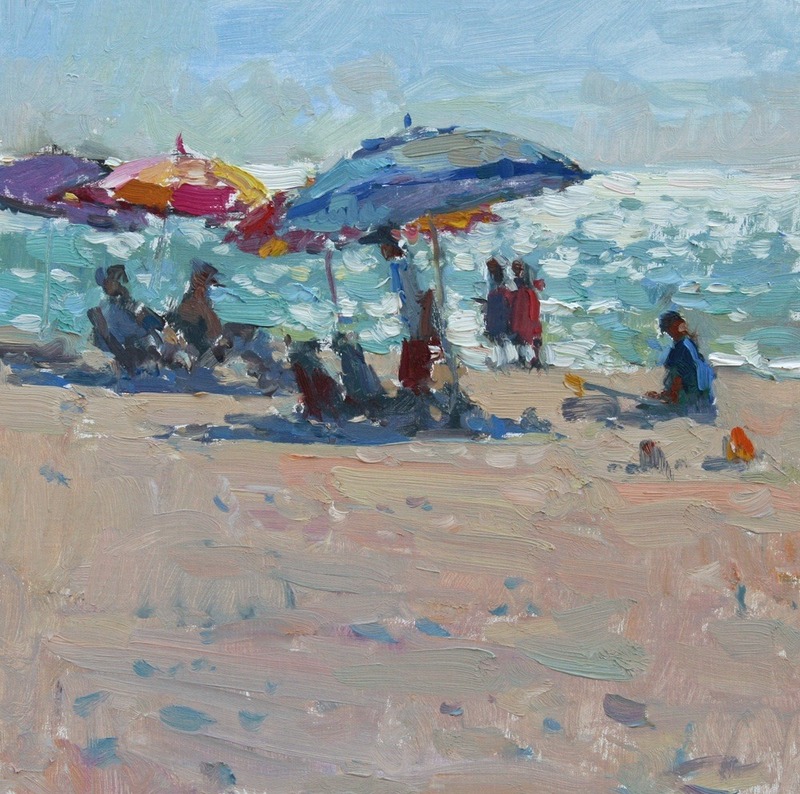 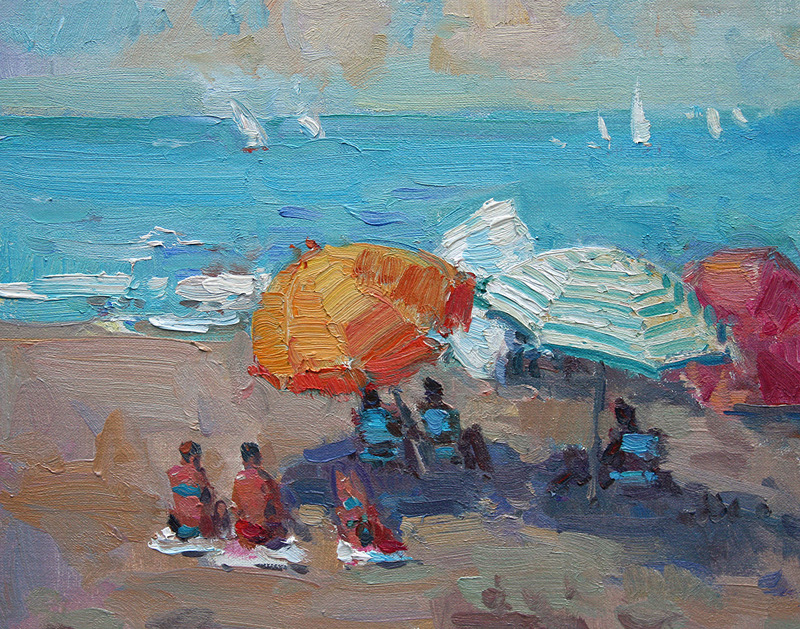 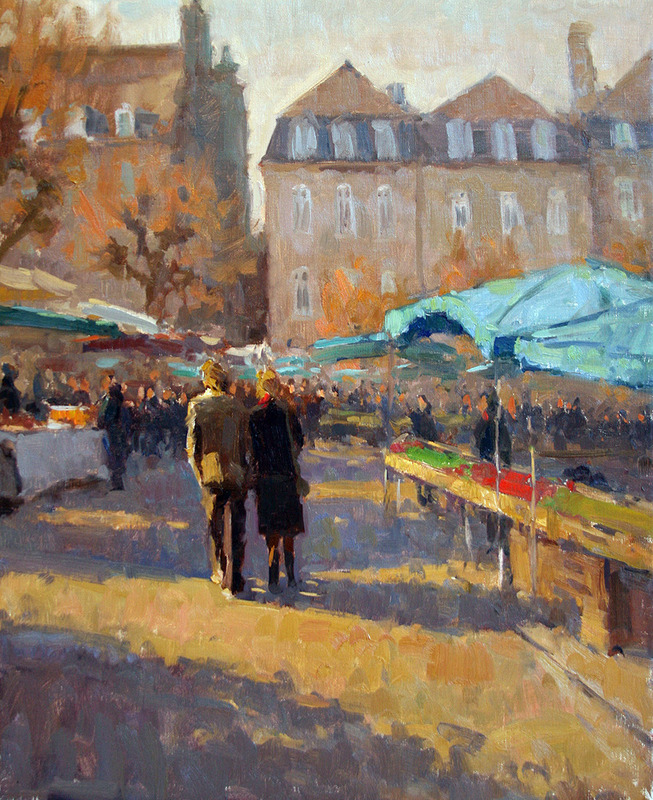 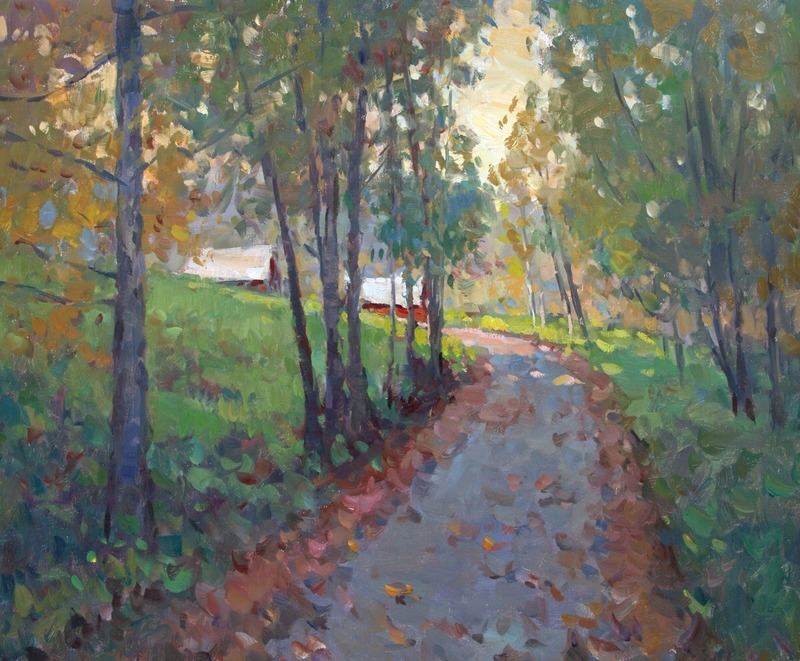 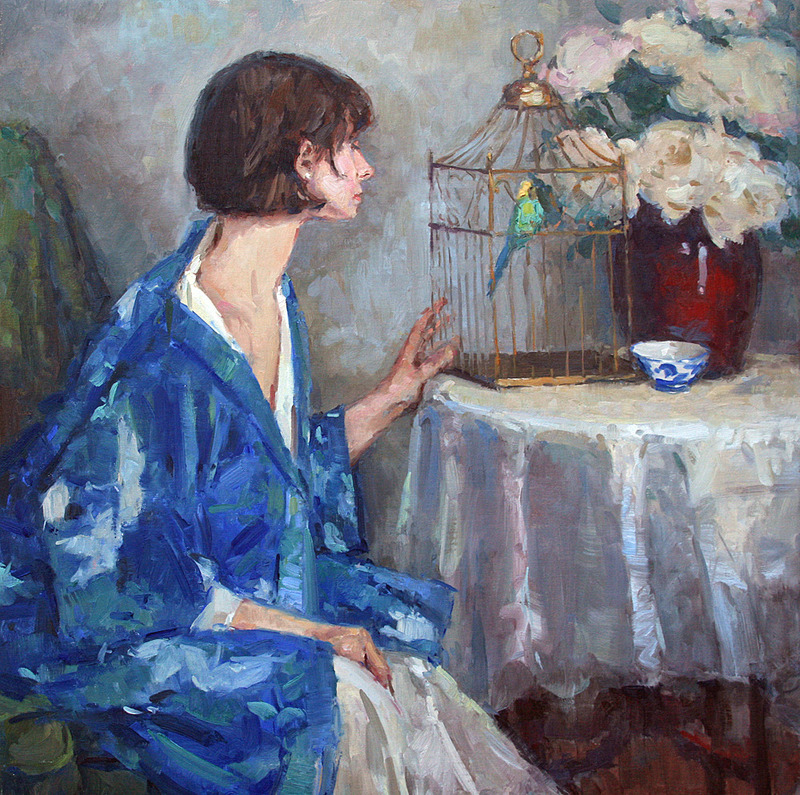 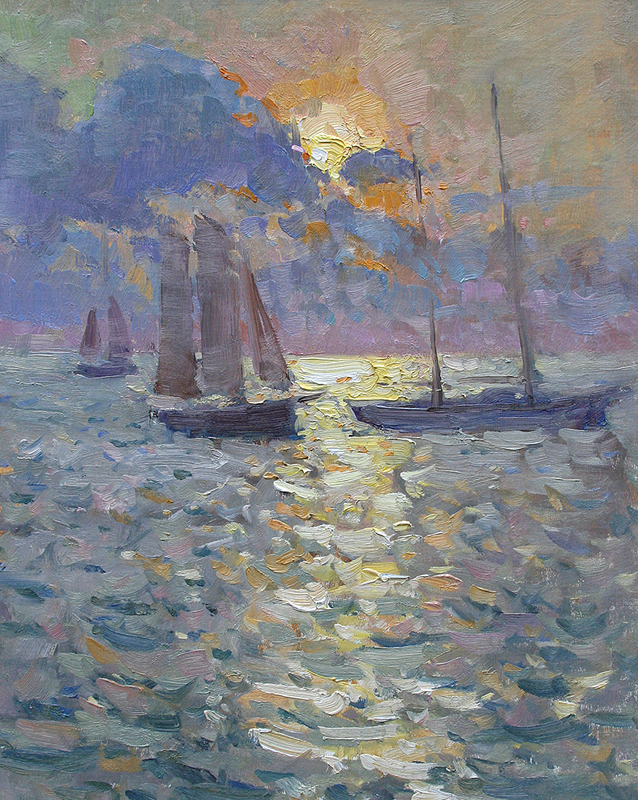 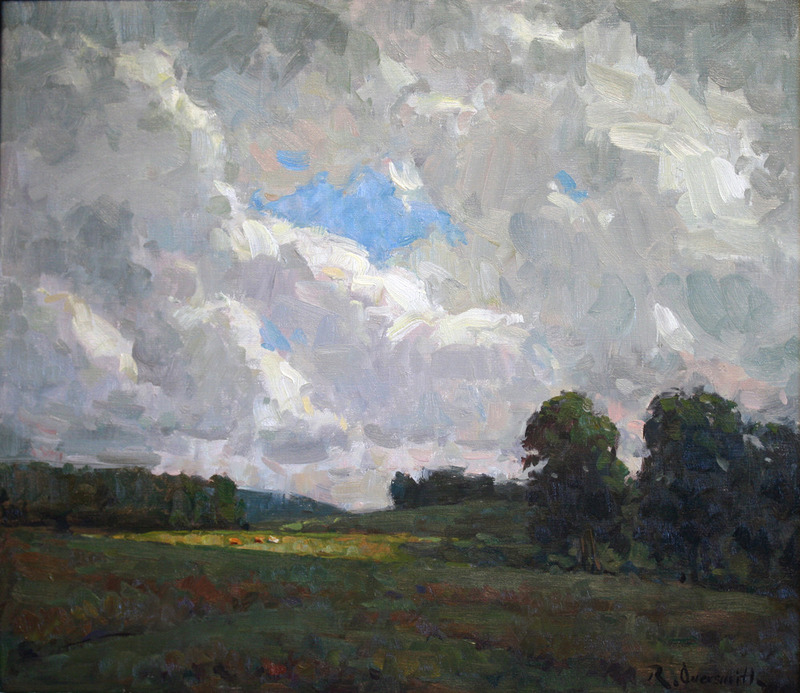 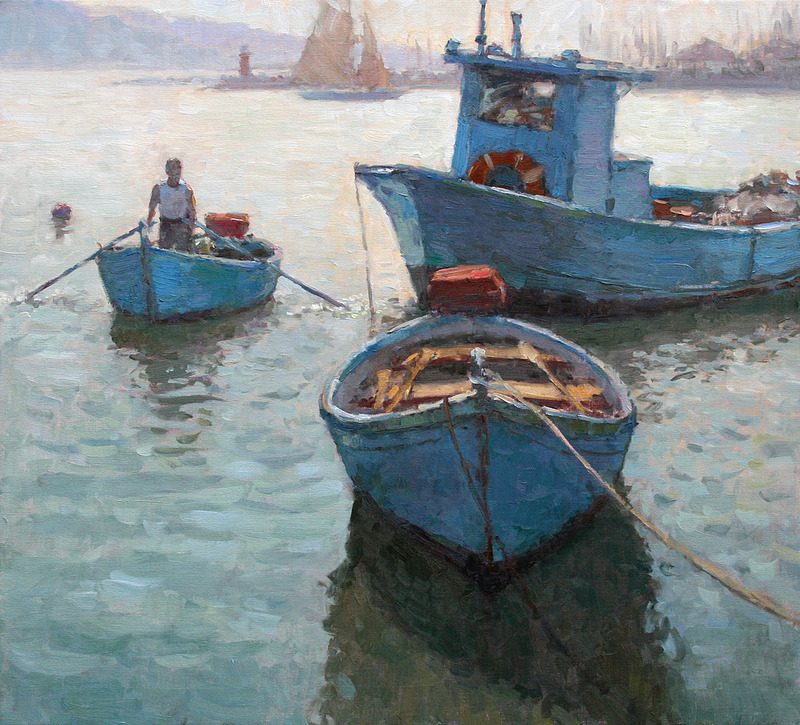 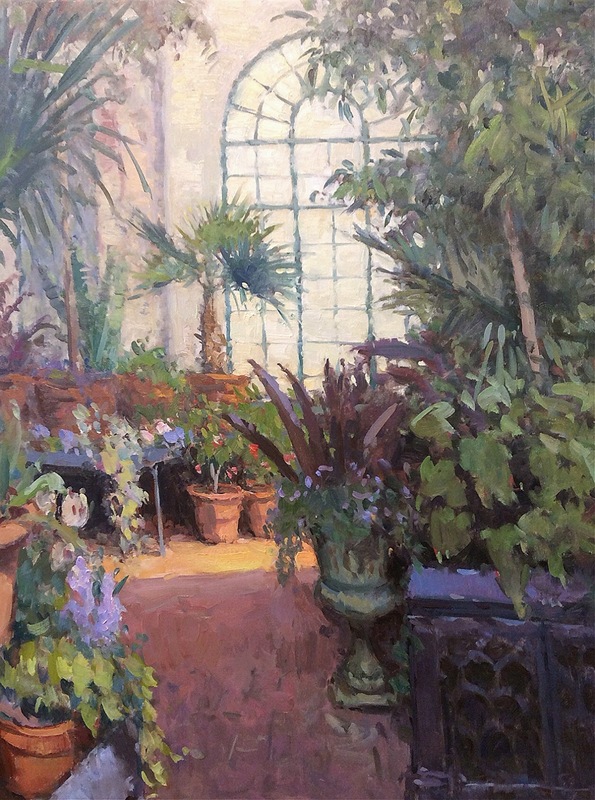 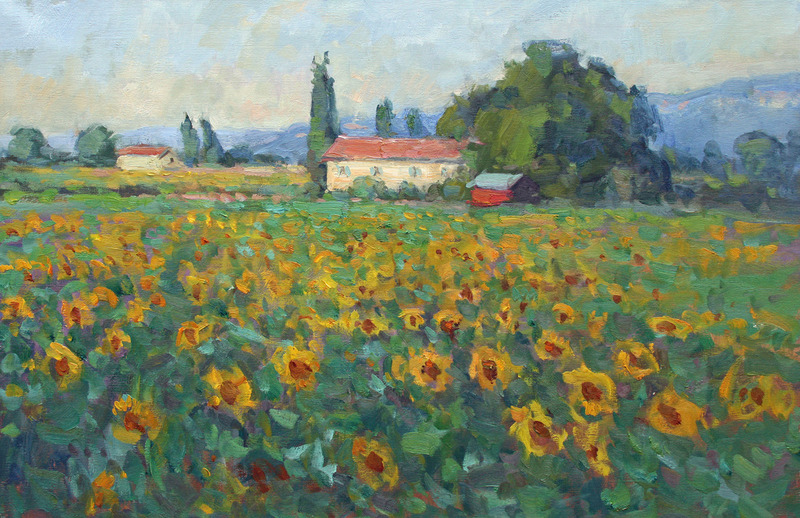 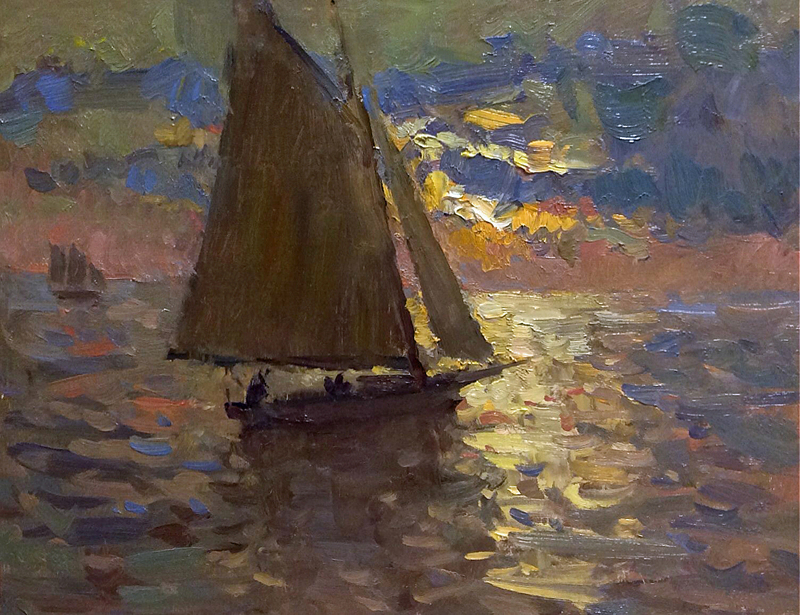 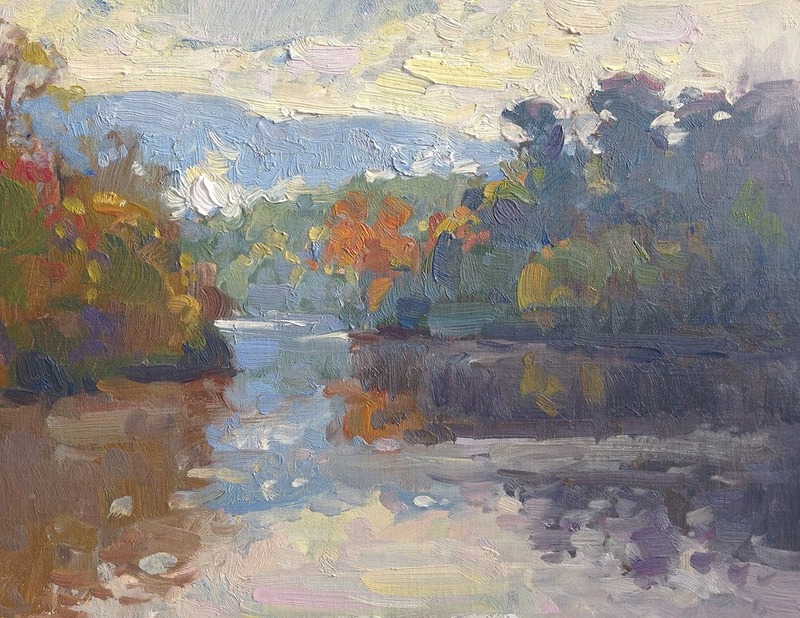 2011 - present Member of the American Impressionist Society. 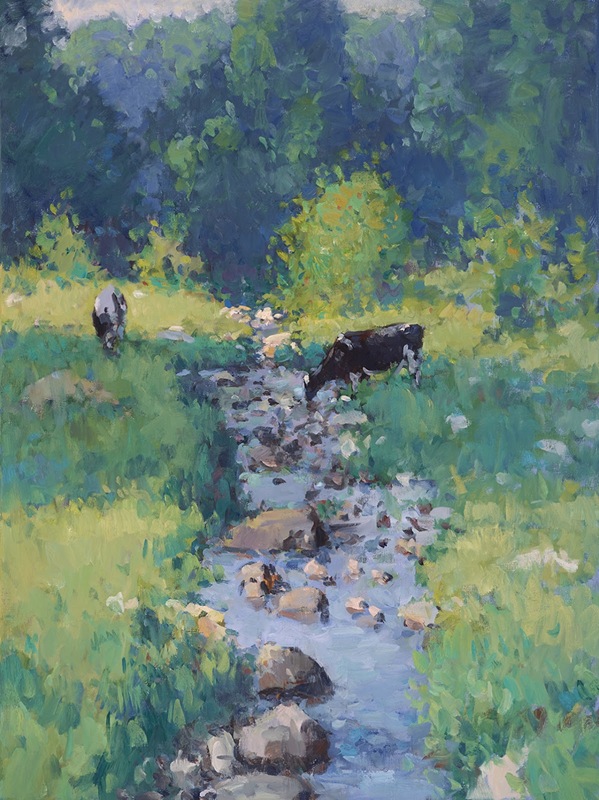 2013 - present Warm Springs Gallery; Warm Spring, VA.
2015 Earthly Delights; J.M. 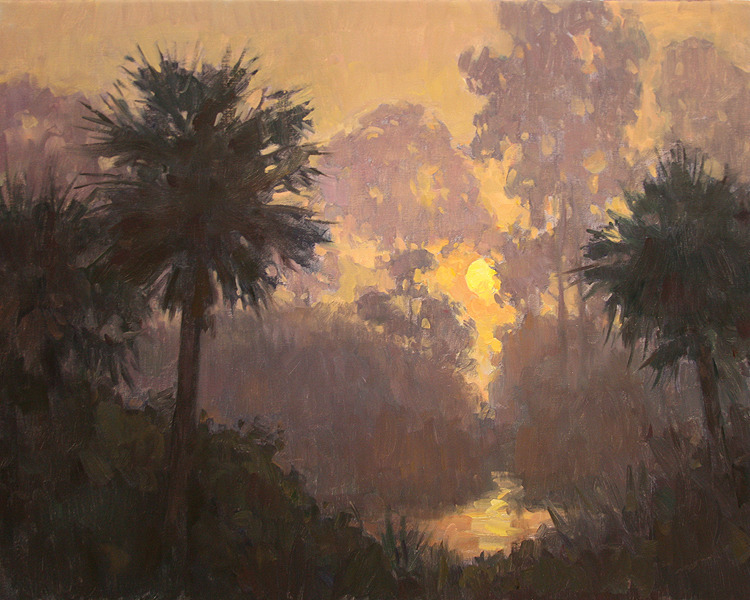 Stringer Gallery; Vero Beach, FL. 2015 January Issue: Earthly Delights; American Art Collector Magazine. 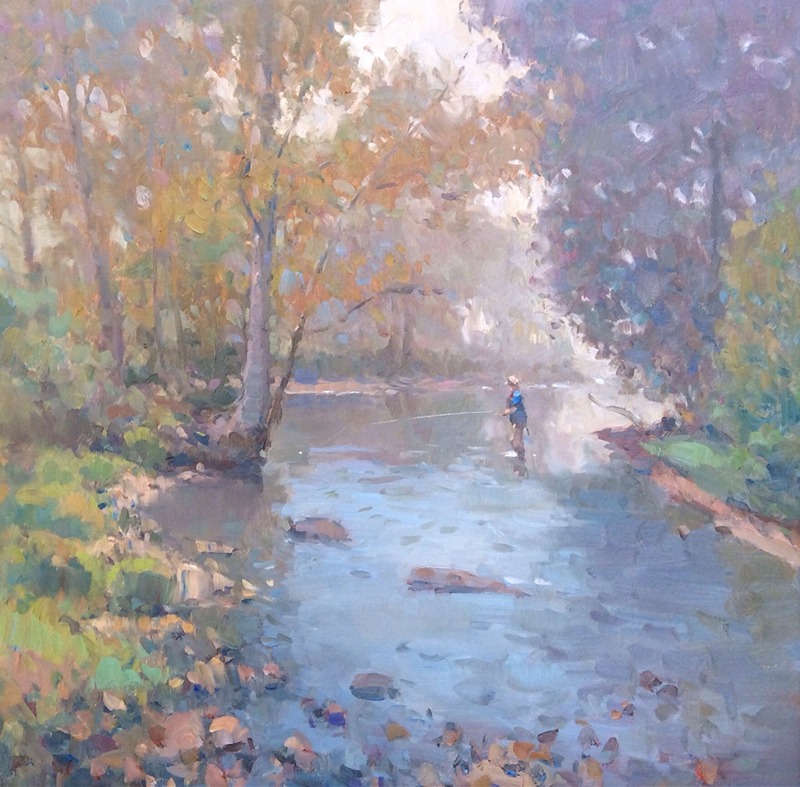 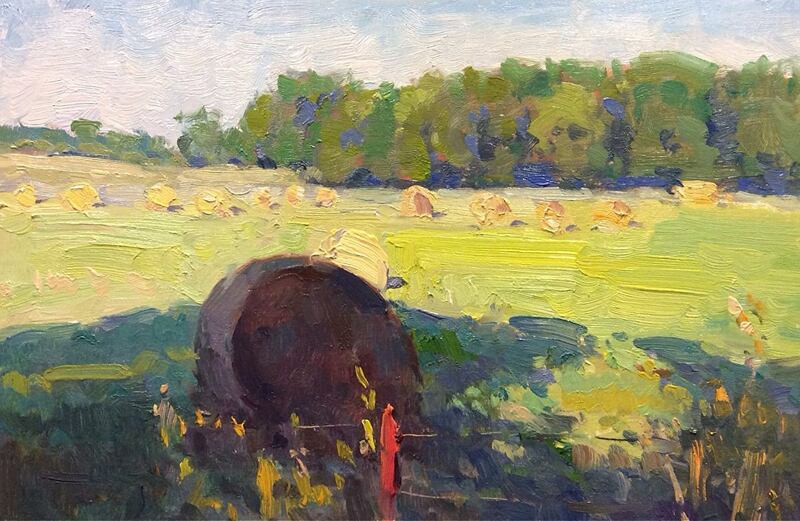 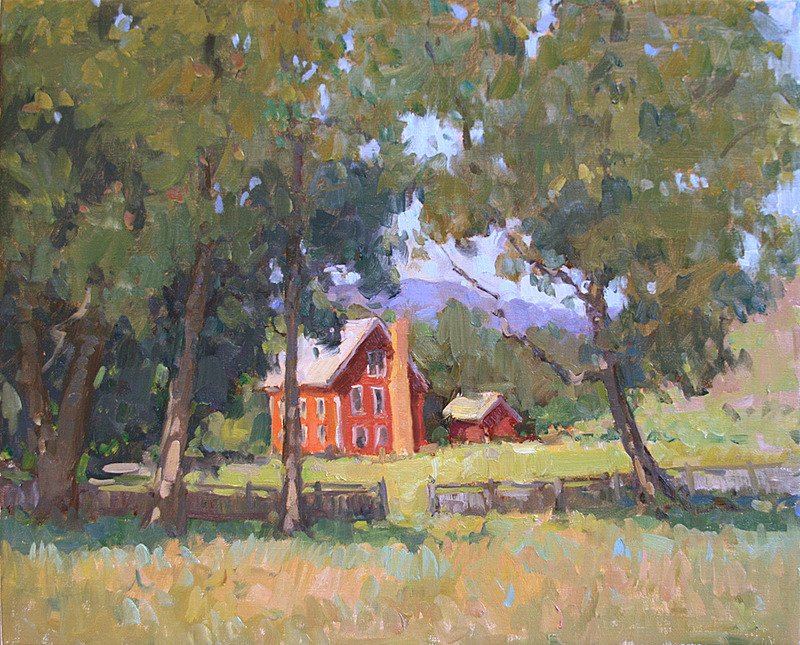 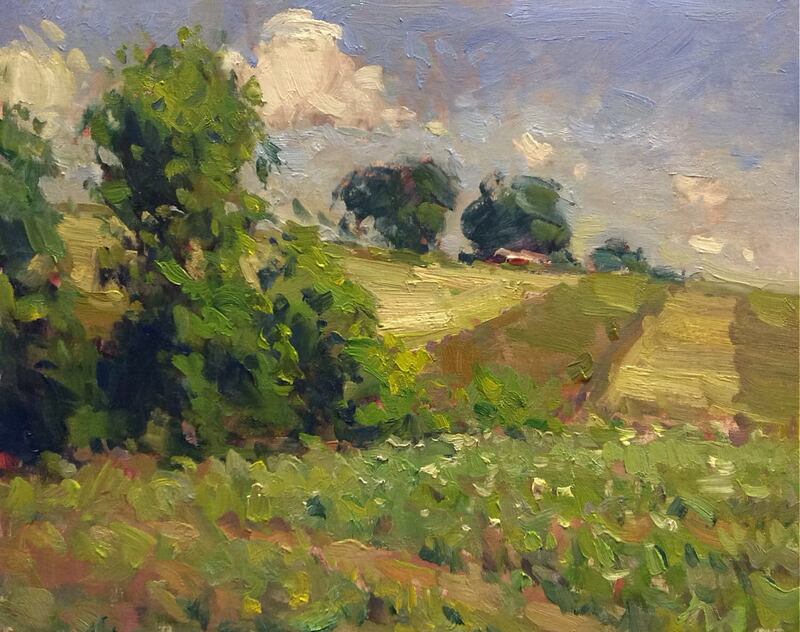 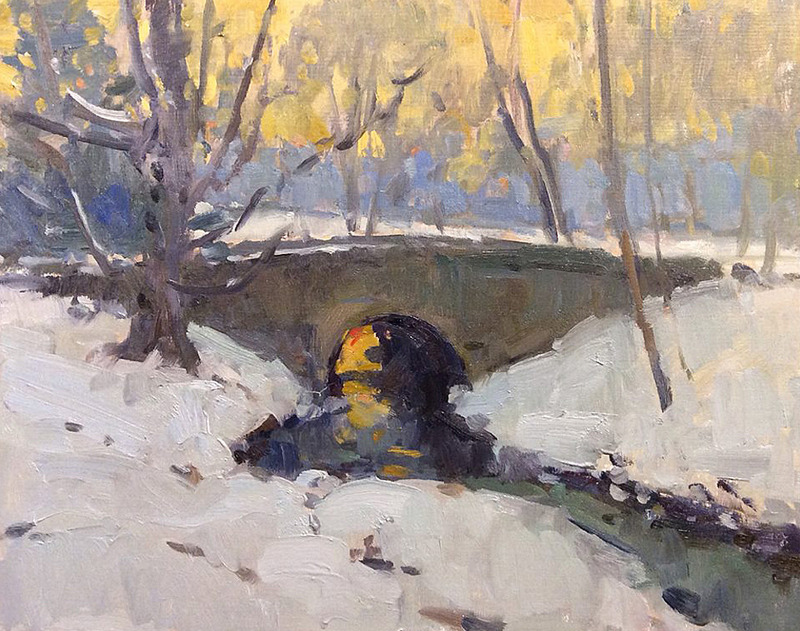 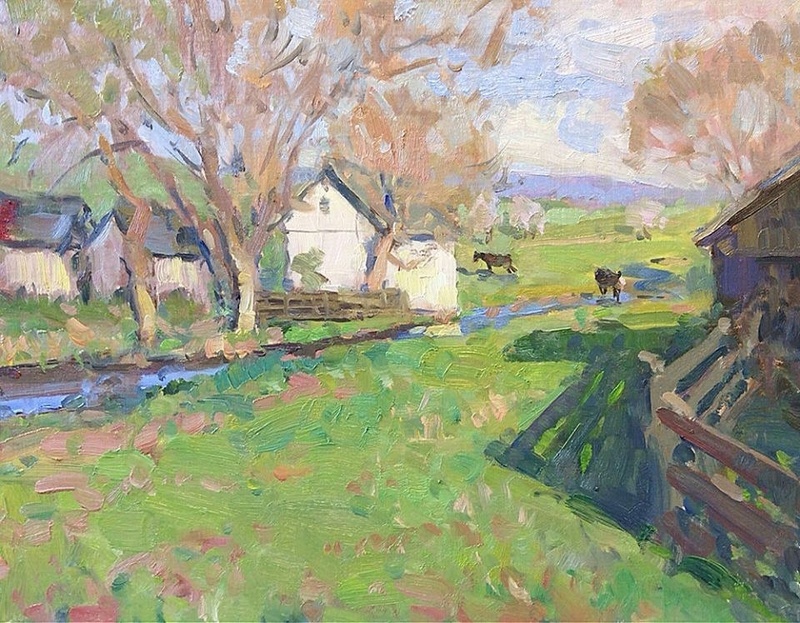 2014 Artist Choice Award in Bath County Plein Air Festival; Warm Springs, Virgina.